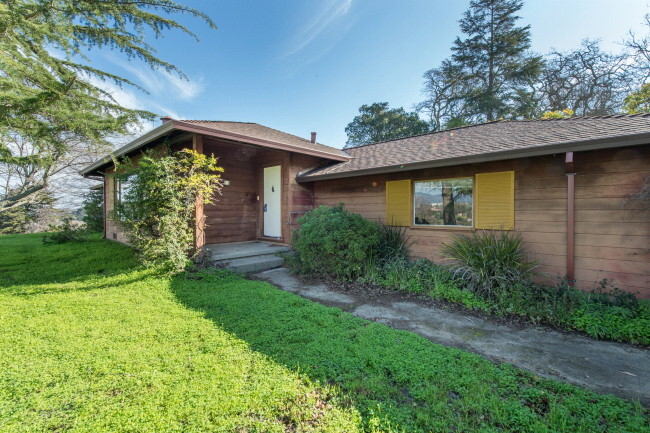 Charming 40’s 2 story bungalow move-in ready in SRJC neighborhood! Clean 3 bed (1 down, 2 up), 2 baths (1 down,1 up), has original oak floors, doors, knobs, moldings, cozy fireplace. New dual pane windows, slider, stainless appliances (inc.), granite counters, central AC/heat. 2-car garage, large, private yard has endless entertaining, gardening, recreation possibilities. 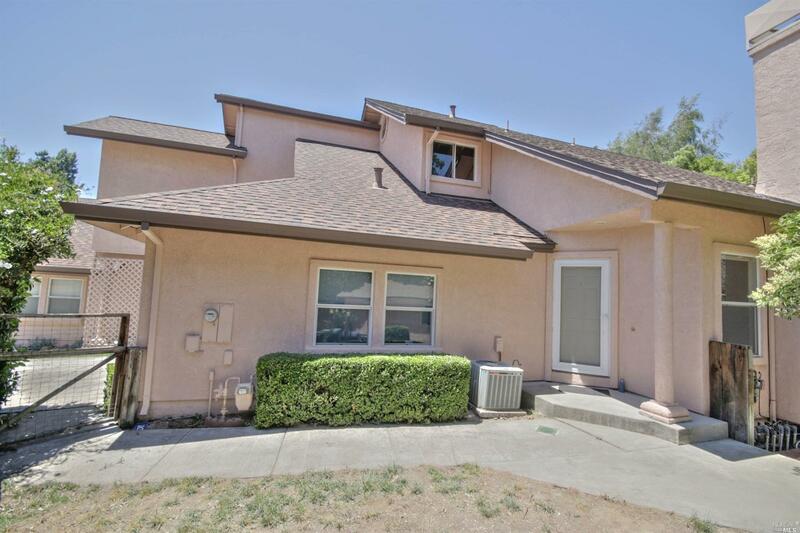 Convenient location to shops, restaurants, schools, parks, SRJC, freeway. Contact us now for more info or a private showing. 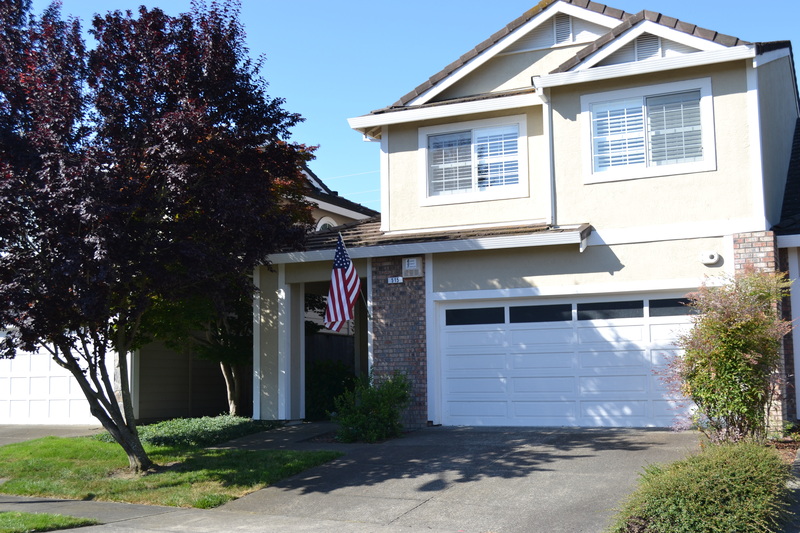 Spacious 4bed/2.5 bath home in desirable Eastside neighborhood with award winning schools. Vaulted ceilings provide abundance of natural light and airiness with easy-care wood laminate and tile floors throughout. Convenience abounds with large pantry, 2 tiled tub/showers, db.sink in master, laundry near bedrooms, breakfast nook, formal dining, living and family rooms. Gas fireplace, relaxing backyard and great location. A real jewel! An amazing move-in ready retreat to call home! On a desirable sun drenched private road, this 1686 sq. ft jewel, built in 2004 has the master suite on the main floor with updated bath- jetted tub, tile shower, double vanity. The open kitchen includes a stainless fridge, granite counters. Abundance of natural light through dual pane windows, vaulted ceilings. 1 1/2 baths downstairs with indoor laundry and 2 car garage. Relax with gas fireplace, forced air heating, hot tub, front porch, deck. Two bonus rooms upstairs w/ full bath. Shows like a model! 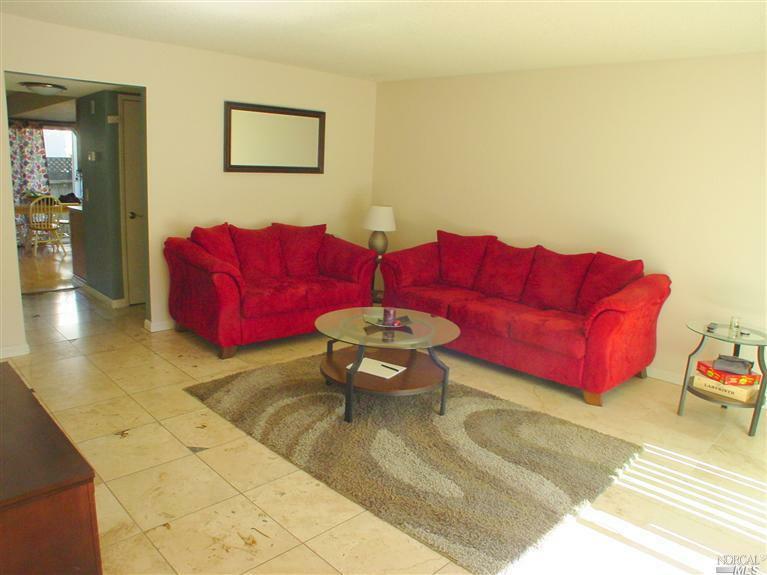 Move-in ready; this 2 bed, 1 1/2 bath has vaulted ceilings throughout. Bamboo floors, gas fireplace, all new stainless appliances inc., remodeled kitchen with granite counters,laundry inc. w/d. Park-like setting with solar heated pool, relaxing lanai, greenbelt and walking trails. Private deck, patio, storage and carport space. Ideal location! 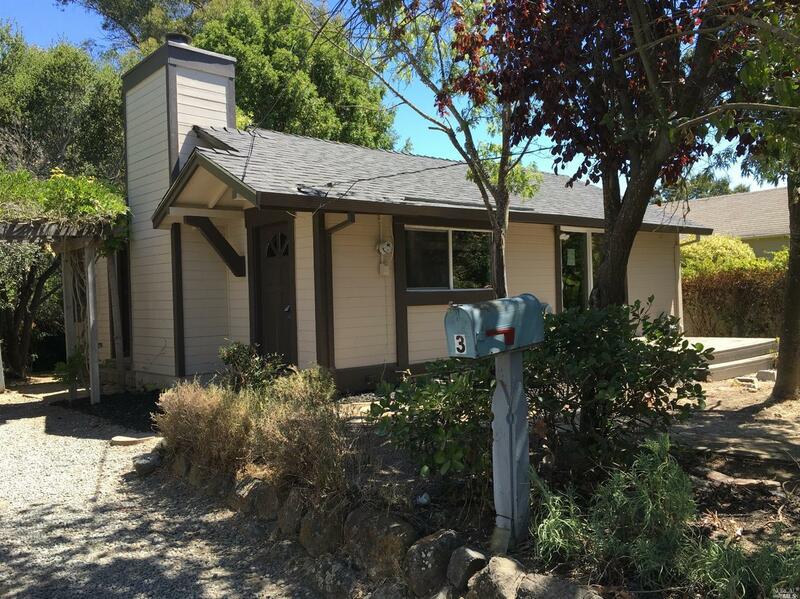 Close to Downtown Cotati, public trans. Live like you’re on vacation and RELAX! 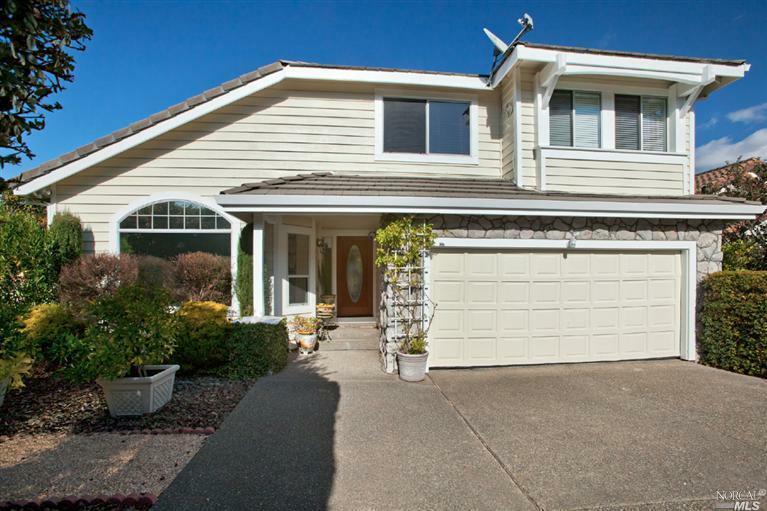 Located on a cul-de-sac, this 3 bedroom, 2.5 bathroom west Petaluma home is ready for you. The home features hardwood floors, an updated kitchen, indoor laundry and a private backyard. With your finishing touches this home will shine! The neighborhood has its own park, walking paths & river access. Approx. a mile from downtown Petaluma w/ all of it’s shops, restaurants & Farmer’s market. Great commuter location with easy access to the 101 freeway. Impeccable Scottsdale Lake single level condo! This spacious two bedroom 2 full bath is move-in ready. Details include an updated kitchen with stainless appliances, fireplace in living room, beautiful floors, new carpet, laundry room/pantry and a large master suite. Amenities include tennis court, pool, spa and club room. Great commute location that’s close to shopping and much more! Wide streets, mature trees, desirable neighborhood, convenient location sound good? It’s right here. This clean, freshly painted, 4 bed, 2 1/2 bath 2012 sq.ft. home has a great backyard! Perfect for entertaining and recreational fun! Desirable open floor plan, covered patio and ample lawn area. Natural light beams everywhere~ cathedral ceilings in the living and master bedrooms. With a few updates, this home could be a show-stopper! 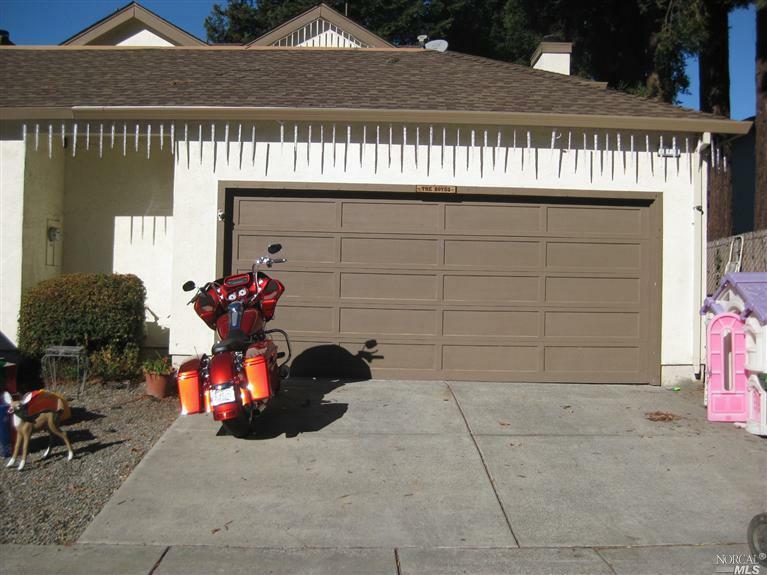 Spacious (almost 2,000 square foot home)in desirable East Petaluma location. Enjoy 2 cozy fireplaces, one in the living room and one in the sunken family room. Great commute location and close to shopping and schools (Miwok elementary and Casa Grande High school). Enjoy the private back yard and amazing custom built swimming pool with waterfall & built in spa that just needs a little attention to bring it back to it’s original grandeur. Must see! Move in ready! 4bd/2bath on cul-de-sac and quad lot. Updated kitchen with granite counters. New paint throughout. Space for RV parking. close to park. 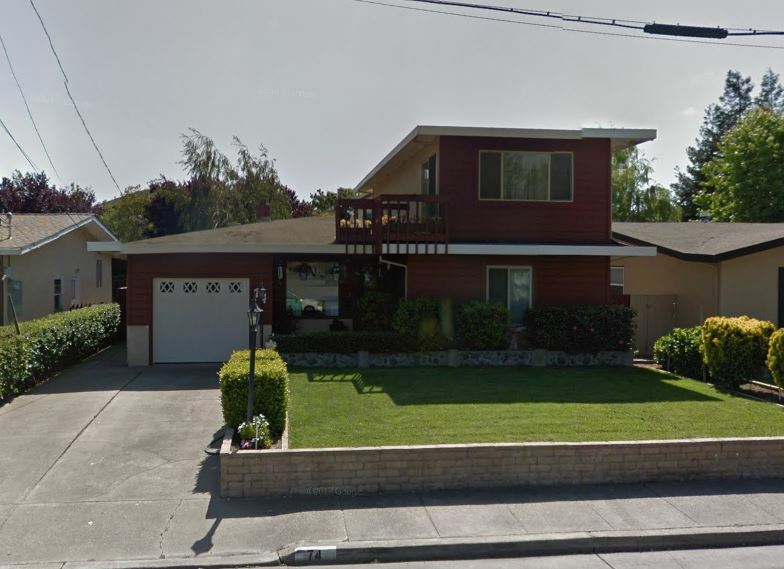 Open and spacious 5 bed, 3 full bath home in a prime location has 1 large bd/bth downstairs, 4 bd/2bth upstairs. 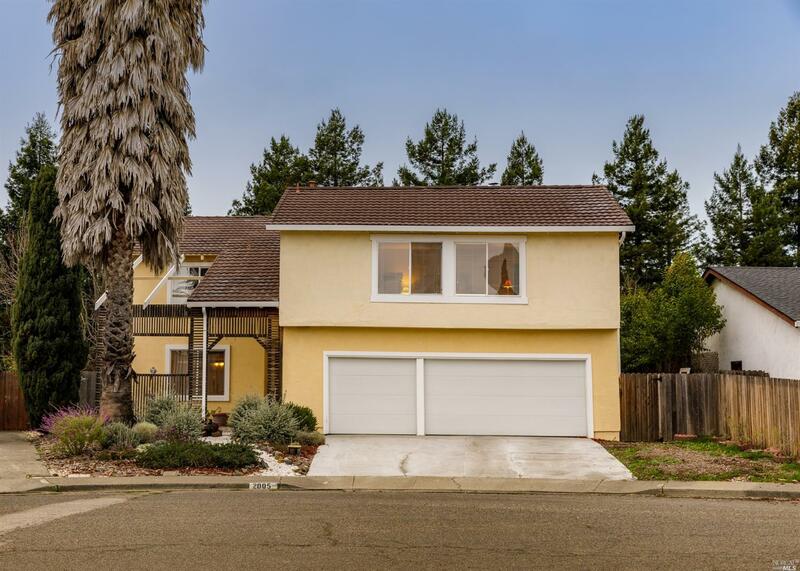 Bright/airy w/ Cathedral and 10 ft. ceilings, dual pane windows, dual zone central heat/air, wood floors, tile roof, storage galore, gas fireplace, 3-car garage, landscaped yards w/patio.Stainless gas range, dbl oven, frig. incl, hot H20 on demand. Views of Son.Mtn., great nearby schools, shops, dining, recreation. A must see! At the end of a cul-de-sac with a private drive this recently updated Westside home sits on an approx.1/2 acre with over 100 roses on property also RV parking. Newer siding and paint. Remodeled kitchen has newer cabinets, Brazilian Quartzite counters, glass back-splash, Kitchen Aid appliances,home has newer carpeting and engineered hardwood floors. Large master suite upstairs plus 2 bedrooms. Office (bedroom) main level. Don’t miss this excellent opportunity for first-time home buyers or investors to be in Petaluma. Move-in ready, this clean 966 sq. 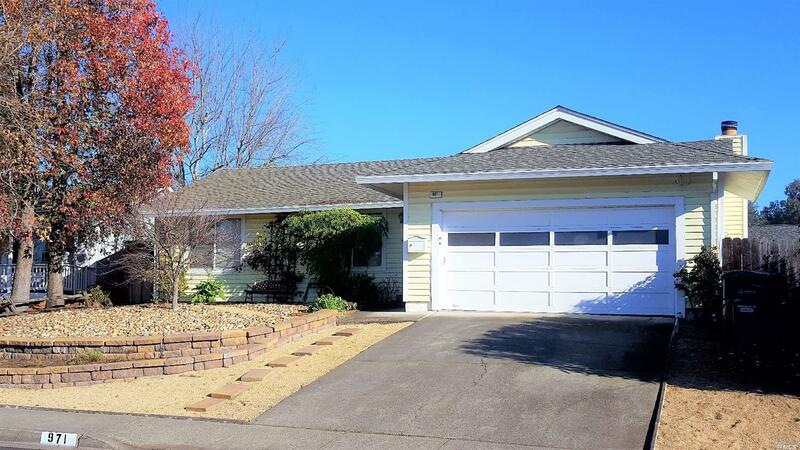 ft. single level home has been freshly painted with new carpeting throughout. Large sunny, level lot, with ample off -street RV parking. Three bedrooms, one bath with garage conversion of two extra rooms and laundry closet (not included in square footage). Large living room with wood -burning fireplace, updated bathroom and plenty of side-yard for entertaining in the shade. Gas stove, frig, washer/dryer all included. Central city location with easy access to freeway, shopping, parks, dining and schools. Check out the video tour here! Amazing opportunity to own in Windmill Farms. This Cape Cod style home w/ 2 beds, 1 1/2 bath, radiates charm, relaxation and an indoor/outdoor lifestyle that is difficult to pass up! Prime location where you can enjoy the common pool, tennis courts, playground, and club house just steps away. 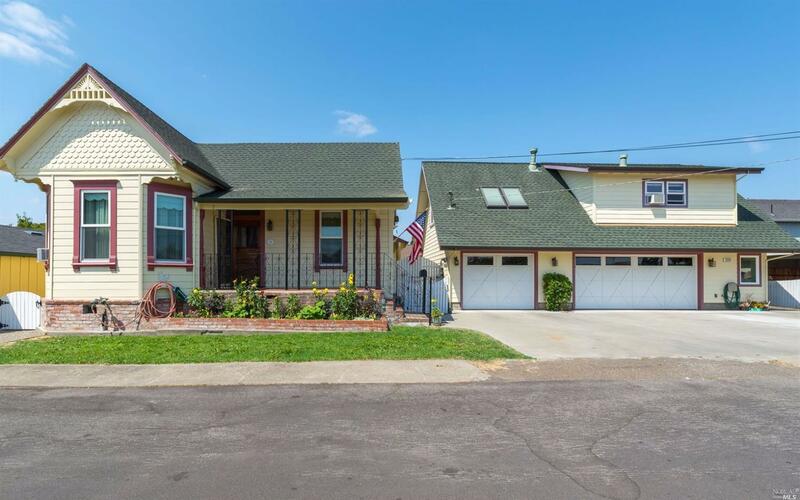 Home includes an updated kitchen, laminate floors, dual pane windows, newer roof, front fenced yard/patio, back fenced yard ~ perfect for entertaining. 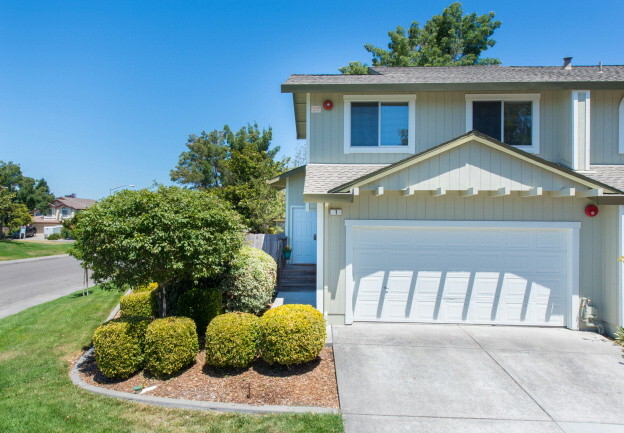 Minutes from Downtown Cotati, the Smart Train, SSU, Oliver’s Market, parks, restaurants and shopping. HOA fees $250/mo. A MUST SEE! This freshly painted, stand alone 2 bed 2 full baths single family home beams with natural light throughout w/ well placed dual pane windows. Bamboo flooring throughout the entire home, all appliances includes: stainless stove, dishwasher, microwave, frig & washer/dryer. Guest bath has tub, master bedroom suite has bath with shower. Low-maintenance backyard with storage shed, ideal for private outdoor entertaining. 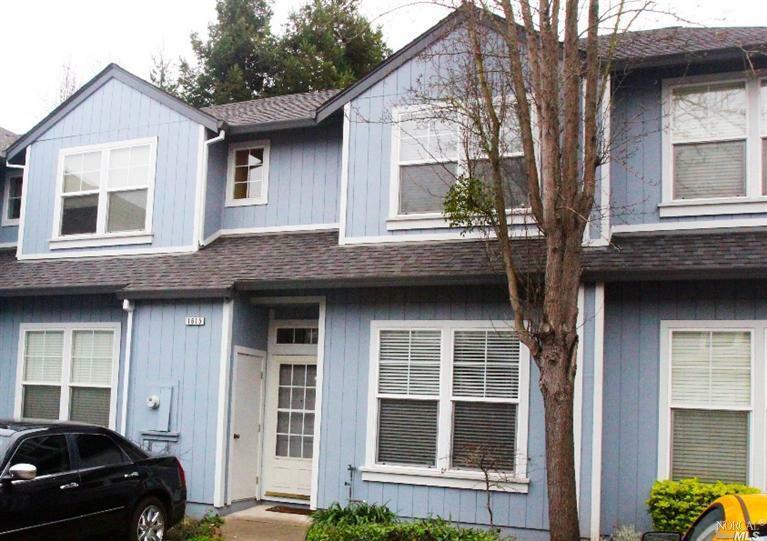 Conveniently located minutes from owntown Cotati and Sonoma State University. HOA includes garbage, water and grounds maintenance. Desirable, highly sought after, one level end unit is conveniently located near pool and guest parking. Living room and spacious kitchen each have sliders that open up to patios which access lawn areas. Walk-in closet in master, tile tub/shower, fireplace and dual pane windows. Unit includes all stainless steel appliances and stacked w/d in closet. Carport & storage. 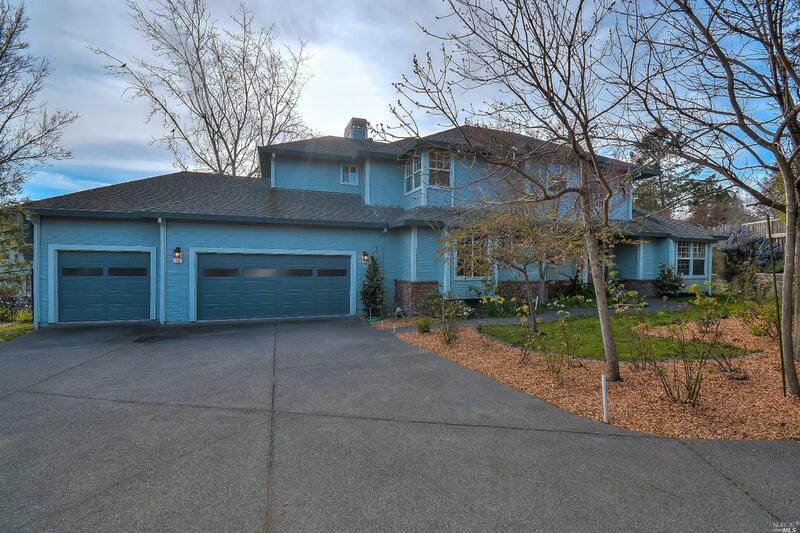 Spacious five bedroom home in desirable East Petaluma neighborhood. Light-filled living spaces include a kitchen window overlooking backyard, FR w/ fireplace, formal LR/DR. An expansive backyard with fruit trees and raised beds offers endless possibilities for creating a private outdoor oasis. Ensuite master bedroom, huge bonus room w/ two closets plus three bedrooms and one full bath upstairs. Half bath and laundry downstairs. Fantastic Midtown remodeled 3bed, 1bth, 1144 sf. home loaded with upgrades, natural light and charm. 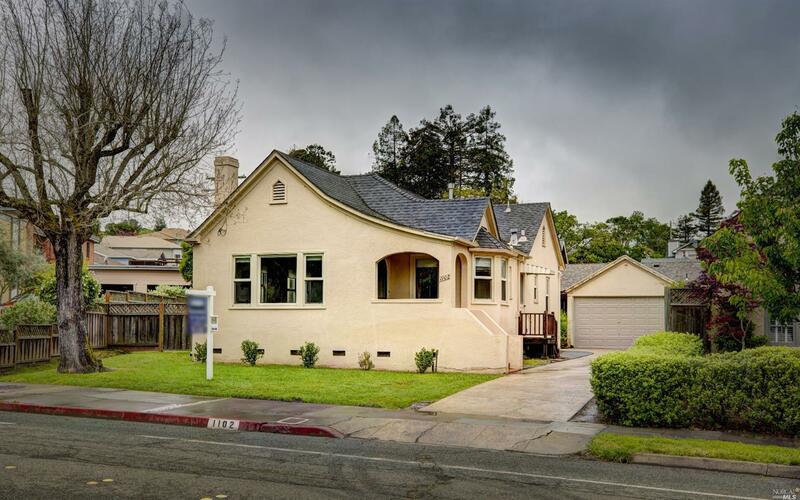 Original oak floors with newer roof, dual pane windows, 3 sliders, granite/glass backsplash, stainless appliances, double vanity, jetted tub/shower, 2 car garage, fireplace, eat-in kitchen with separate formal dining. Come see for yourself! Sound wall on two sides to be built in 2020! Lovely light & bright home with attached 2 car garage. Beautiful, oak hardwood flooring downstairs, carpet upstairs. Nice living room fireplace, slider onto private patio. Dining room looks out to rear patio deck. Wood kitchen cabinets, gas range, dishwasher and Whirlpool refrigerator. Homeowners Association features pool, greenbelt, walking paths, guest parking. Walk to park, elementary school & Junior college, shopping and transportation. 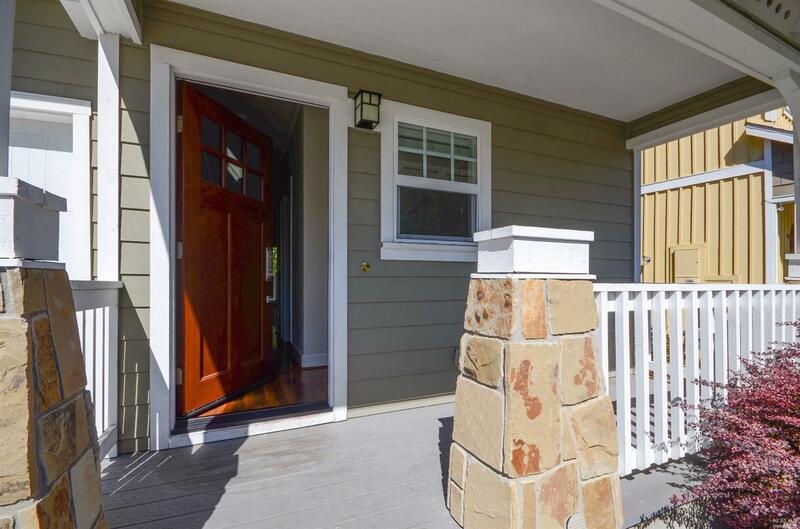 This turn-key craftsman style home is tucked-away on a serene street in Midtown. 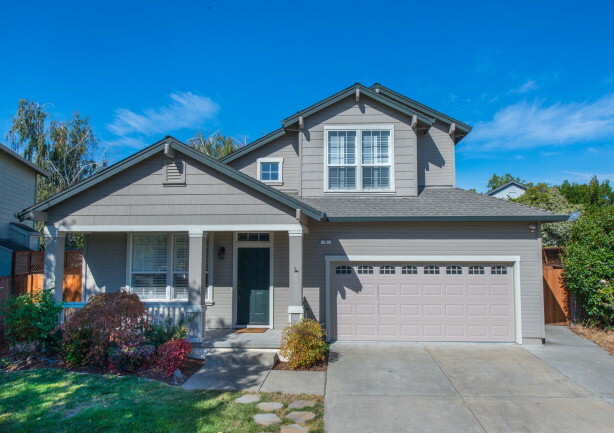 With a fresh coat of interior paint and brand new carpet, this home is ready for you to enjoy. Featuring laminate floors, 9′ ceilings, crown molding, recessed lighting, dual zone AC, stainless steel appliances, and granite countertops. Enjoy the open floor plan downstairs and spacious 3 bedrooms plus laundry upstairs. Quick access to freeway, downtown, and shopping. 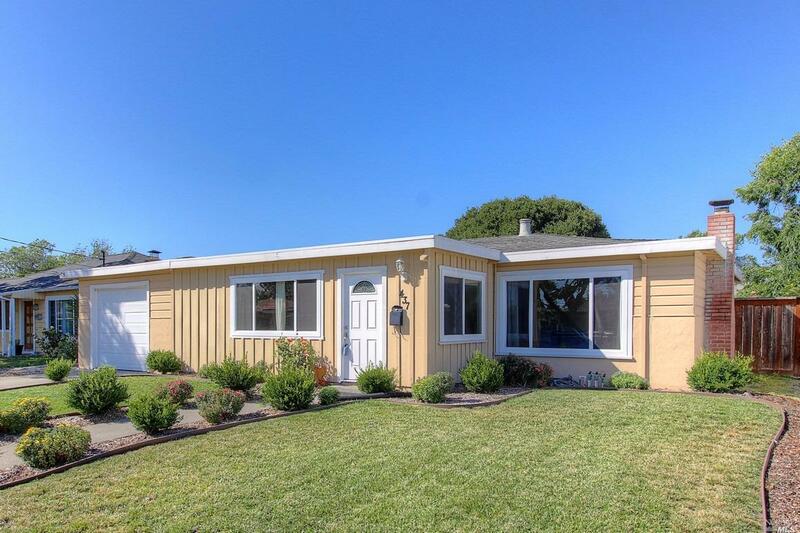 This immaculately maintained 3bd/2ba ranch style home is nestled peacefully on a quiet, private cul-de-sac. Features include vaulted ceilings, granite countertops, stainless steel appliances, LED can lighting, fresh paint, and new blinds. The garden boasts raised garden beds, new landscaping with sprinkler system, and a spacious backyard with in ground pool. Conveniently located near Hwy 12 & 101. This home is a must see! Classic Edwardian-era home; single story, 3 bedrooms (third is smaller and makes a great office), 2 full bathrooms, living, dining, kitchen and large laundry room. Period character and charm preserved in archtectural trim work and wood flooring. 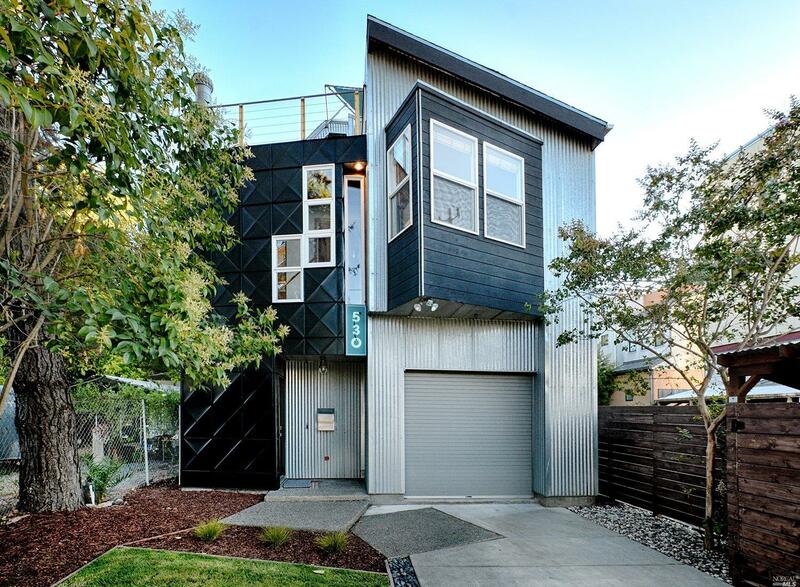 Detached 4-car garage and second unit are just 10-years old and look new. Check our 3D virtual tours. 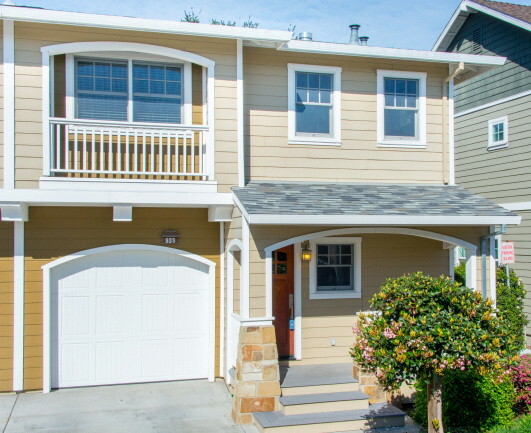 Be a part of the renaissance of Petaluma’s Mid-Town neighborhood. 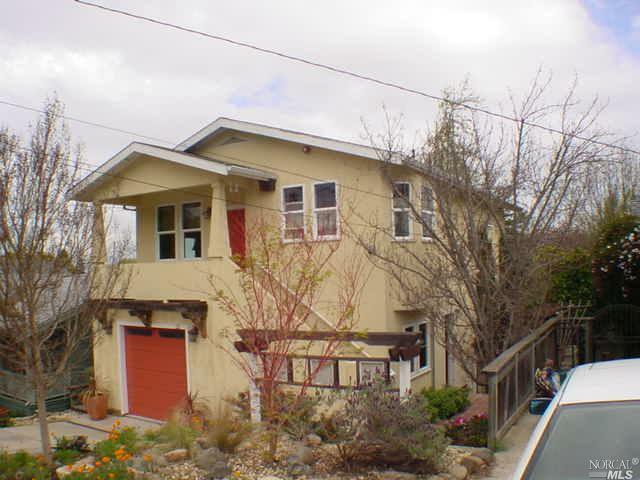 Rare duplex on the edge of downtown Petaluma. Market rental value of $3,700 per month! Mirror-image units feature 2 bedrooms, 1 bath and share a 2-car carport between. Thank you for respecting the occupants’ privacy. 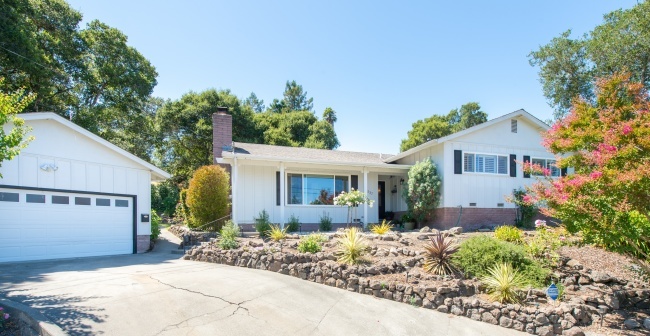 Charming single level 4 bedroom, 2 bath home located within steps to Howarth Park, Annadel, Spring Lake and a just short walk to Montgomery Village and downtown. Country life style but still close to downtown Petaluma & freeways. Contemporary remodeled home comes with new roof, new kitchen with Carrera granite counter tops and new stainless steel appliances. House has RV side parking, deck in rear with views of fields with no rear neighbor. All bedrooms and bathrooms are remodeled. Hardwood floors re-finished. Move in condition. 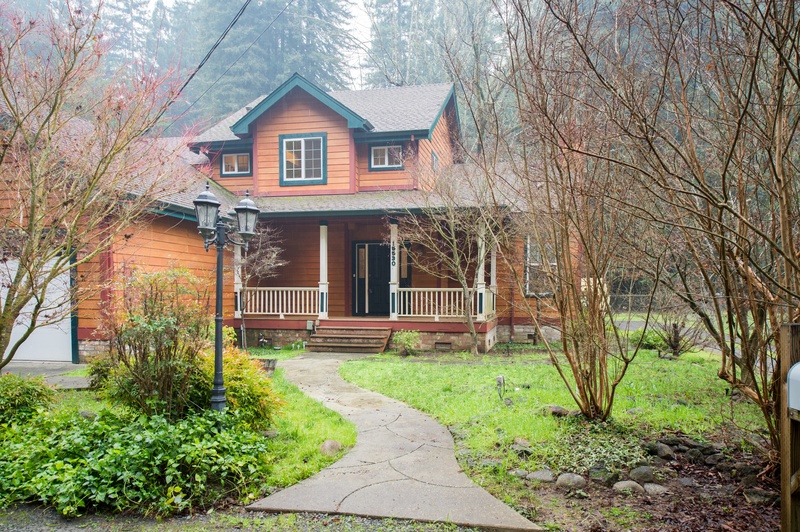 Bring your Contractor and imagination and make this 1920 Craftsman home shine! Formal dining room with built-in cabinets, large kitchen, pantry, laundry room. Newer furnace and water heater. Country living on half an acre. Trustee sale. Public tax records for lot size are.incorrect. Deed states .52 acres. 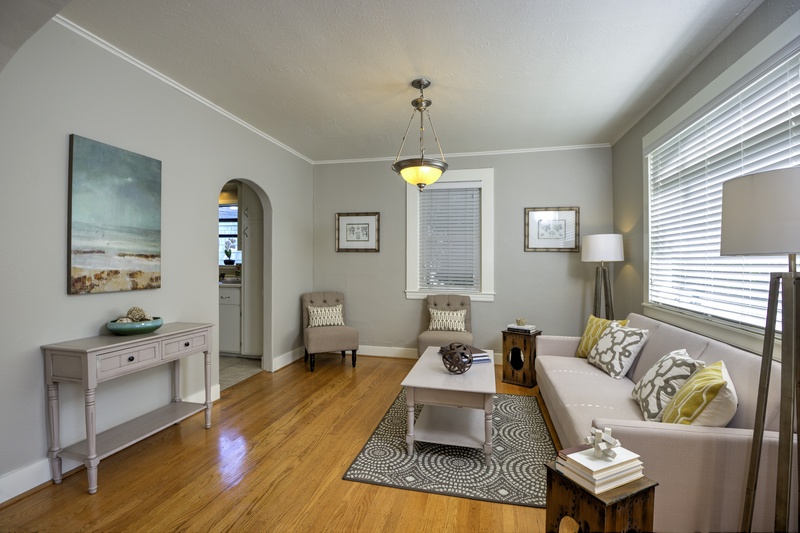 Located on prestigious west Petaluma’s D Street. Classic 1930’s bungalow with original period details throughout. Charming home offers formal living room and dining room. Spacious kitchen plus a breakfast room overlooking tree lined D Street. 3 Bedrooms with closets, 1 bath with spacious stall shower, laundry room plus a detached 2 car garage. Very spacious backyard for entertaining too! 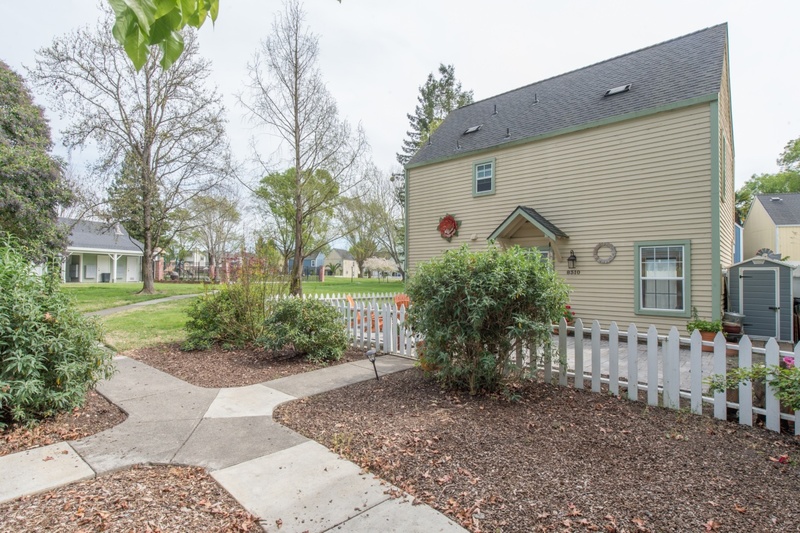 Offering the very best of 1920’s charm and just a short distance to Petaluma’s Historic Downtown, this Westside move-in ready home is a rare find! Character shines throughout this 1361 sq.ft. 3 bed home with updated kitchen and baths, newer roof, windows, central heating/AC and 1.5 car detached garage. Private garden features a heritage shed, avocado and kumquat tree. Bright eat-in kitchen nook, formal dining room and back porch are reminiscent of the era. Fresh designer upgrades to this 2 bedroom, 2 and 1/2 bath condo in a complex with pools and clubhouse. Updated paint, flooring, kitchen, and baths, Convenient location close to shopping, freeway and downtown. Must see to appreciate. Sold off market at seller’s request. Sold off market at buyers request. Great 3 bedroom 2 bath single level home on a private and generous lot! Open floor plan with tile floors in the kitchen, dining and living areas.Bamboo flooring in hall and bedrooms. Kitchen has Granite Tiled counter tops,built-in black convection oven and microwave oven, gas cook-top with ‘indoor BBQ grill, counter top seating. Newer updated tiled bathrooms with spacious shower Walking distance to Eagle Park. Come home Today! Historically known as the Bell House, this iconic home now combines Roger Bell’s original vision with current owner’s modern touch. 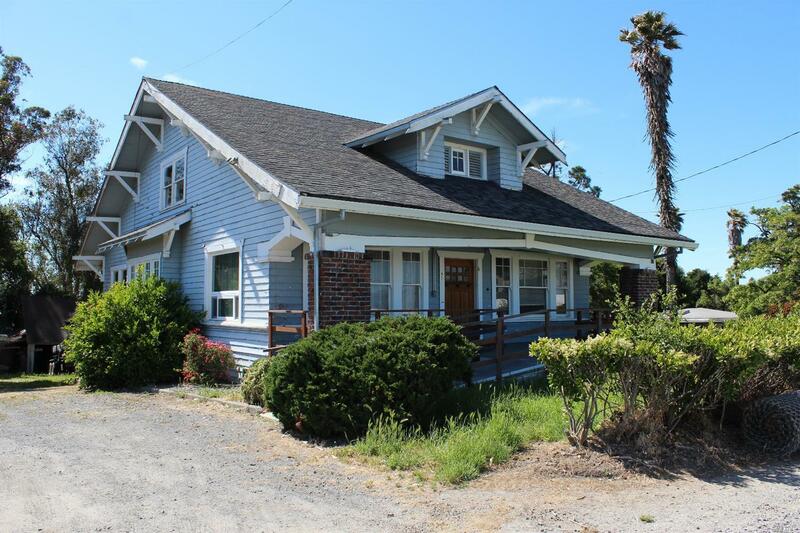 Light filled, 4 Bed, 2 bath plus detached office with industrial style fixtures. The many upgrades include updated bathrooms & kitchen. New roof, newly landscaped exterior. Wifi sound system throughout. New floors & an electric charging circuit just to name a few. 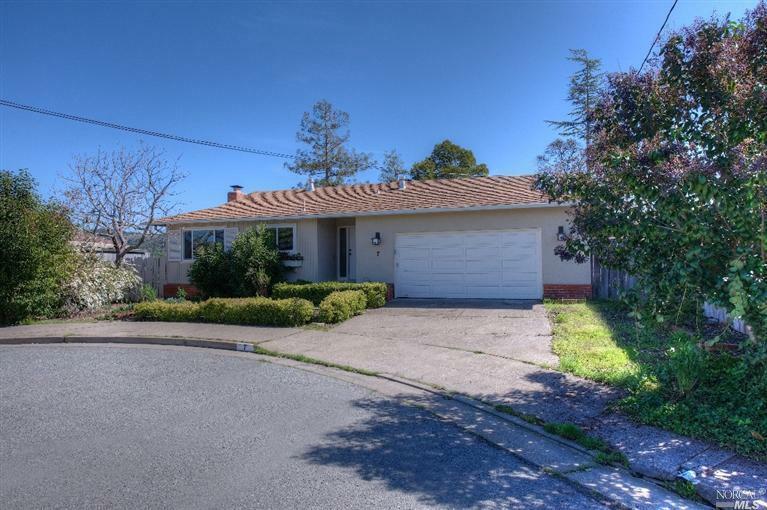 Walking distance to downtown Petaluma! Desirable single story floor plan that is “move-in” read! Spacious 4bd, 2bath single story, with a great floor plan in an established, quiet neighborhood. Updated kitchen and baths. Conveniently located laundry room, family room, dining and living room with vaulted ceilings and dual pane windows beaming with natural light, fresh paint, granite, laminate flooring and a wood burning fireplace, Large private, landscaped yard, citrus trees and large deck for BBQs, 2 car garage. A MUST SEE! 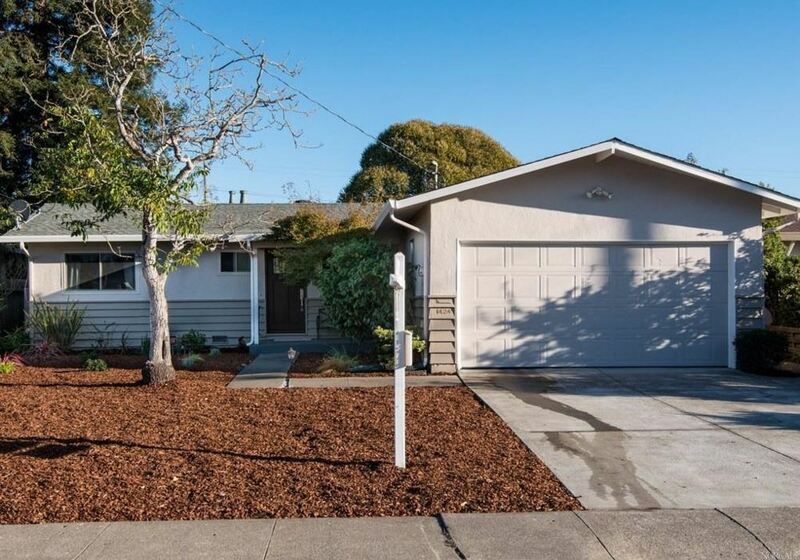 This one story contemporary style home with 3BR/2BA sits on a corner lot on a quiet street. Step inside to the large living room complete with gorgeous oak hardwood floors & high arching ceilings. The spacious kitchen includes new cooktop, stove & microwave. The kitchen is open to the family room with fireplace & makes for a great entertaining area and flows outside to the brand new deck. You don’t want to miss this beautiful move-in ready home! Immaculate home in pristine Ridgewood. Quiet light filled end unit with an open floor plan and vaulted ceilings. It features a large master suite w/ bath, 2nd bed with guest bath (both with tubs), wood burning fireplace, and views of gorgeous sunsets. Enjoy easy access to the finished attic space, private enclosed patio, balcony deck, the single car garage. Steps from sparkling pool. HOA covers bldg.exterior, grounds maintenance, roof, insurance, garbage and water. 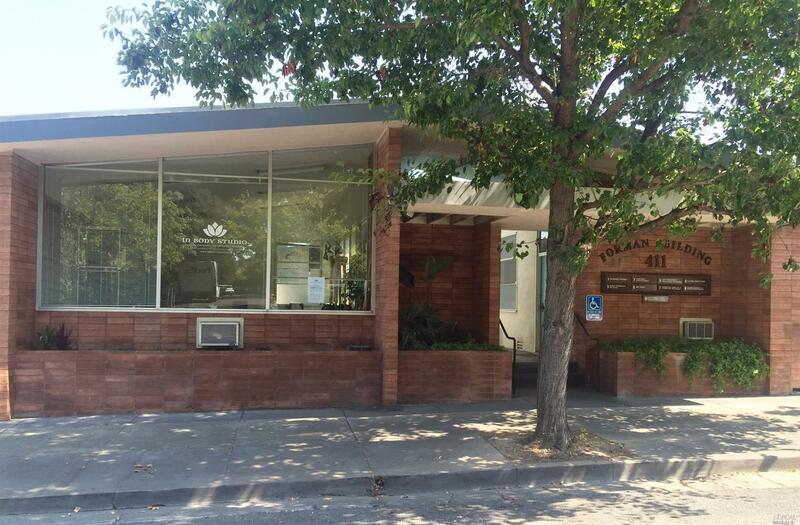 Prime Downtown Petaluma Offices in Sought Out Theater District Location . Comprises 5500 Sq Ft Single Level known as the Forman Building with 9 Offices on a 8298 Sq Ft Large Lot with Good Parking. Rents are Below Market with Several Long Term Tenants. Great Opportunity for Savvy Investor/1031 Exchange. No Vacancies & Huge Demand. Close to Shopping, Restaurants & Transportation. Better than the photos! This turn-of-the-century Victorian home was extensively renovated and expanded in 2014/15. With 3,864 sq. ft. of living space, this home has 5 bedrooms and 4 full bathrooms and includes a grand entrance, parlor, formal living room with fireplace, dining room, and enormous gourmet eat-in kitchen. There is also a theater room, fitness center, office, wine cellar, music studio, sauna, steam room, and two car garage. Spacious single story, corner lot home. 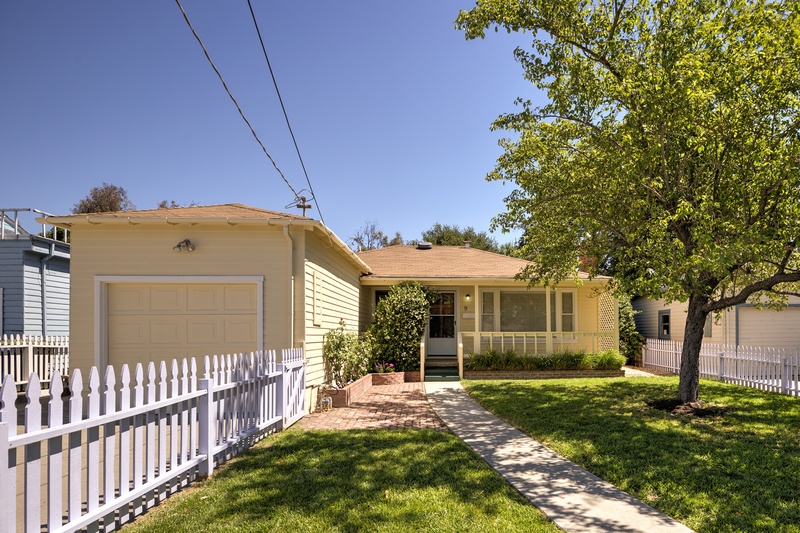 Established, quiet neighborhood with wide streets, plenty of parking & Del Oro Park nearby. Fresh paint, new carpet, vaulted ceilings throughout, updated dual paned windows, a newer furnace & water heater. Living room has a fireplace & sliding door to the backyard. The private yard with mature trees & patio is perfect for entertaining. 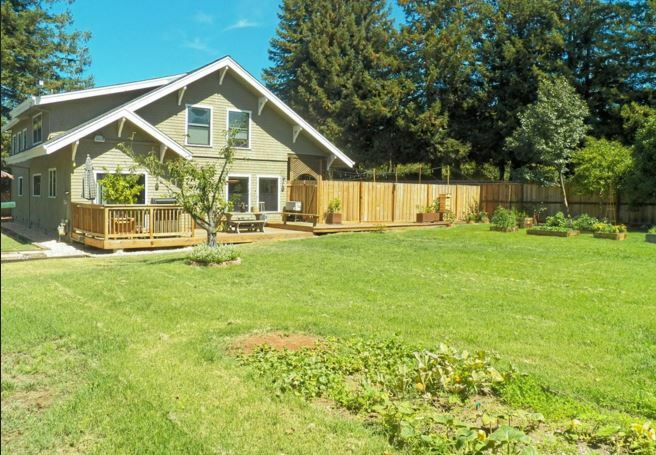 The large sunny front yard is a gardener’s dream ready for garden beds. The hard work has been done! 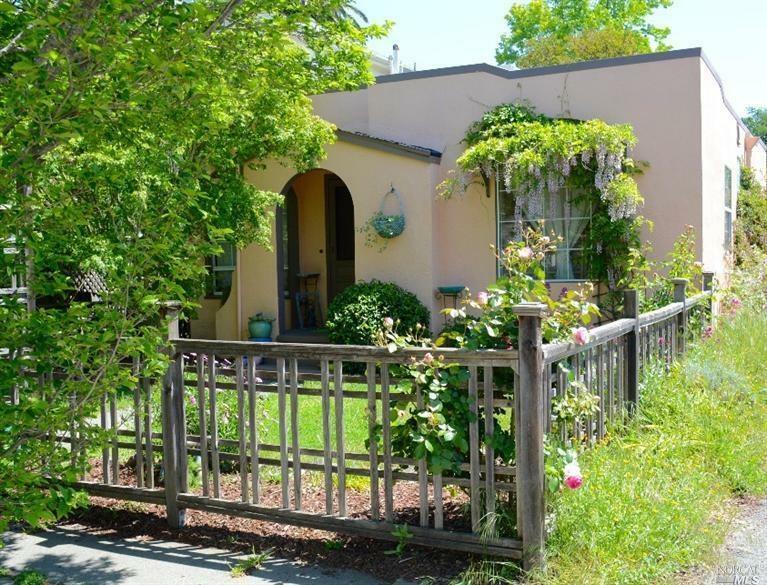 This 2 bedroom 1 bath cottage is tucked away in W. Petaluma. Large, oversized yard offers so many possibilities for planning, entertaining and/or relaxing. Inside offer original, unique touches like stained glass, exposed beam ceiling and loft space over the kitchen for extra storage or whatever your imagination can come up with. New roof, paint in and out, flooring throughout, range & D/W. Clear Section 1! Sold off market by seller request. This immaculate 3bed/2bth Western Oaks townhome with attached 2-car garage is privately nestled at the end of a cul-de-sac. The spacious and bright open floor plan has vaulted ceilings,hardwood floors, new windows, plantation shutters and a wood burning fireplace. Newly remodeled kitchen includes 2 convection ovens, gas stove and sile stone counters. Two decks have views of the open space. New washer/dryer. Enjoy the club house and 2 pools. 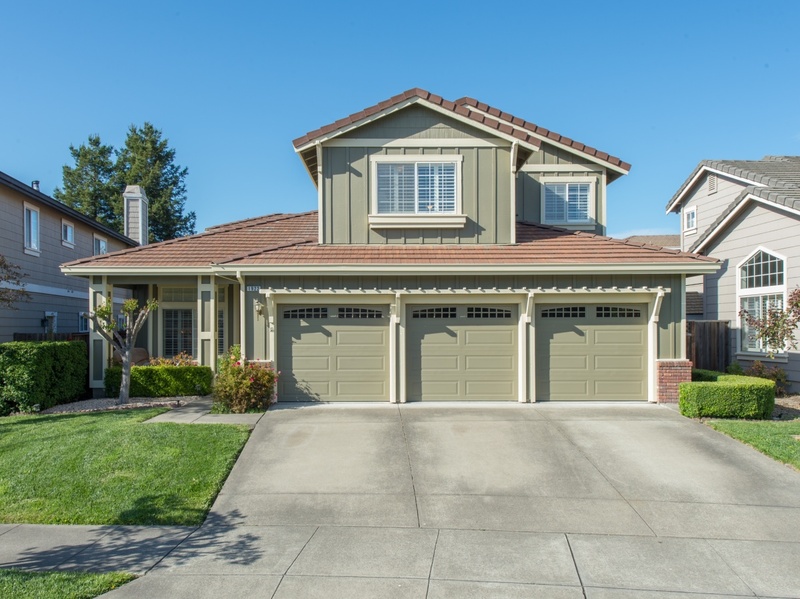 Sparkling 3bd, 3bth West Petaluma jewel has amazing natural light beaming across a beautiful open floor plan. This remodeled single story home, situated on a quiet street in the highly sought out Cherry Valley Neighborhood, has a high-end kitchen with quartz countertops, XL master suite, laundry room with office space, oak hardwood floors, vaulted ceilings, private backyard to include a waterfall, basketball court and detached 2 car garage. 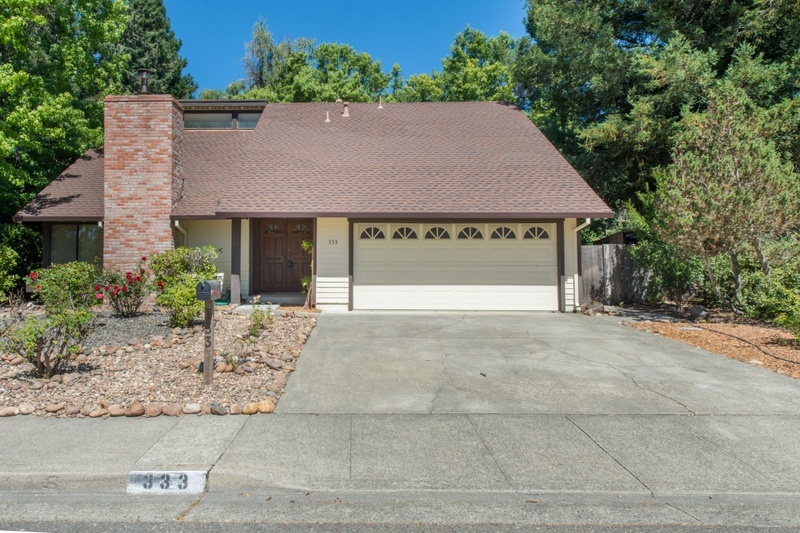 Great home located near downtown Cotati! This PUD comes with absolutely no HOA fees to worry about & shares only 1 wall. The two story, 3 bed, 2 full bath layout comes with 1 bed/full bath downstairs! Other amenities include multiple ceiling fans, fresh interior paint, high ceilings, central A/C, 2 car garage & dual pane windows. The easily accessible detached storage unit/garden shed is a huge plus! Don’t miss out on this great property! Stylish infrastructure in this cute mid-century charmer includes granite counters, travertine tile and dual-paned windows. Imagine all the indoor/outdoor living you will enjoy in your delightfully landscaped yards. Tend your vegetable and flower gardens in raised beds or entertain friends in your ample patio space. Conveniently located near parks, schools, shopping plus easy freeway access. Don’t miss this sweet home with a definite WOW-factor. 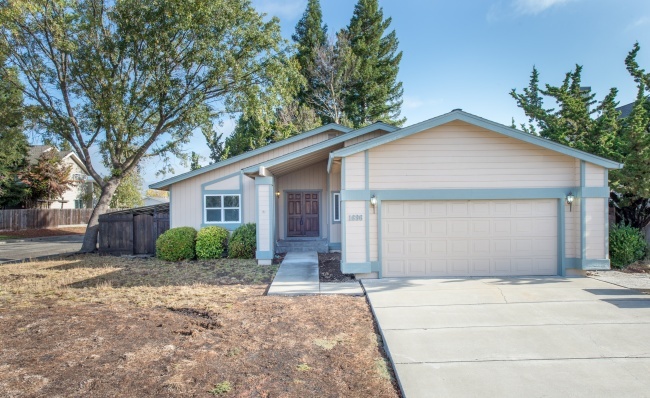 Amazing opportunity to own one of the best Planned Unit Development (PUD) homes in Rohnert Park. This spacious 3bed, 2.5bth home features vaulted ceilings, a wood burning fireplace, private backyard, large master bedroom with ensuite bathroom, new floors downstairs and paint throughout. The extensive HOA covers your home exterior, Garbage, Grounds Maint, Insurance, Management, Roof, Street and Water. 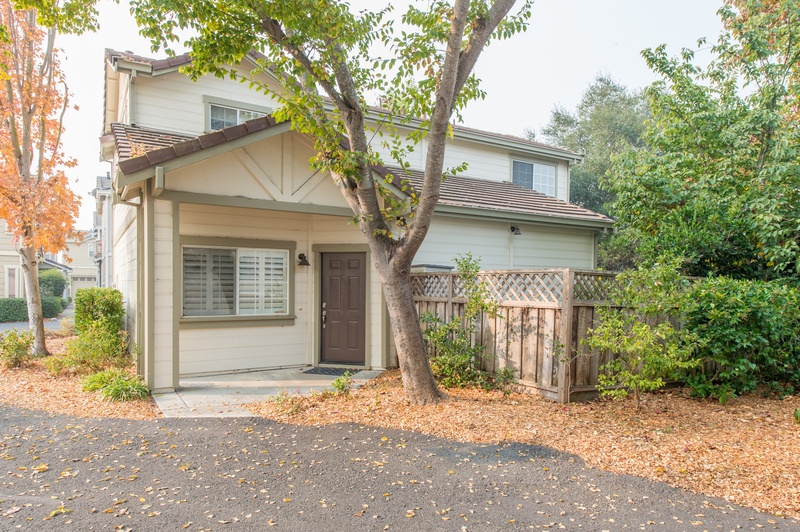 This peaceful neighborhood is ideally situated just a few minutes from locally-loved downtown Cotati, by car. It’s also a breeze to walk or ride your bike to the park, pool, Wolf Den Plaza and Oliver’s Market. Public transportation and the Green Music center are just down the street. Cozy and charming move in ready opportunity for this single level home on spacious and sunny lot. With fresh and soothing 2-tone color scheme, stylish laminate floors, smooth ceilings, gas-range kitchen, wood burning fireplace/stove…just unpack and enjoy! Dual pane windows and slider, landscaped yards, deck with shady arbor and perfect indoor outdoor flow-Ready for California living. 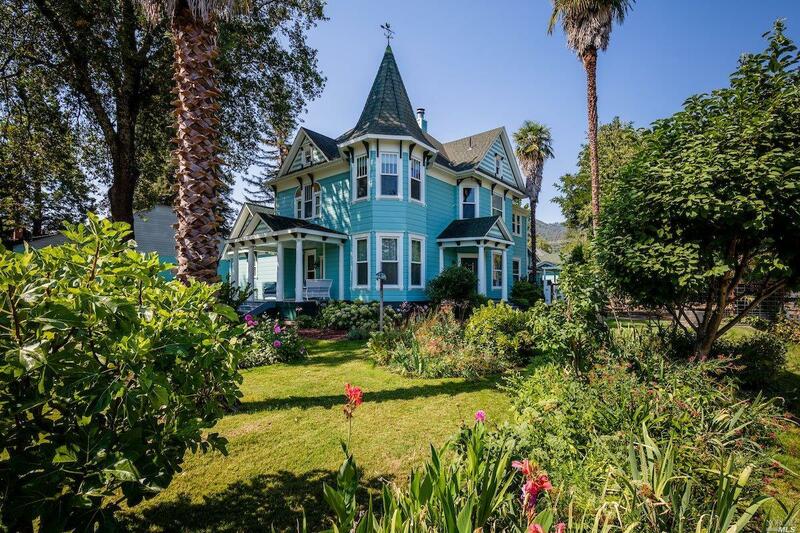 Close to all that Petaluma has to offer- a true gem! 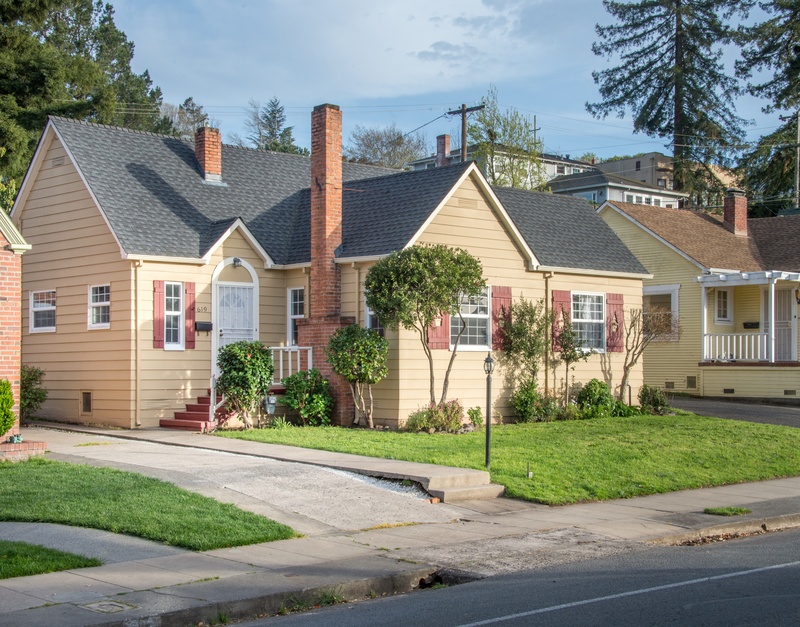 Charming Midtown Petaluma bungalow. This cozy home set back off the main road, features a quintessential picket fence and a peaceful, private backyard. Lots of storage space in easily accessible attic. Conveniently located near walking path to downtown, Whole Foods market and public transportation. 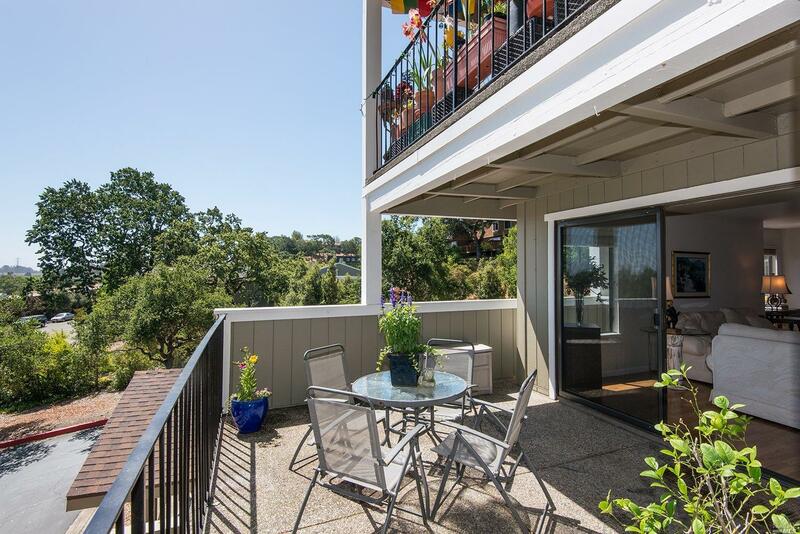 Enjoy leisurely strolls to downtown Petaluma. Open space grass area for picnicking and fun just over the footbridge nearby. Not in FEMA flood zone. 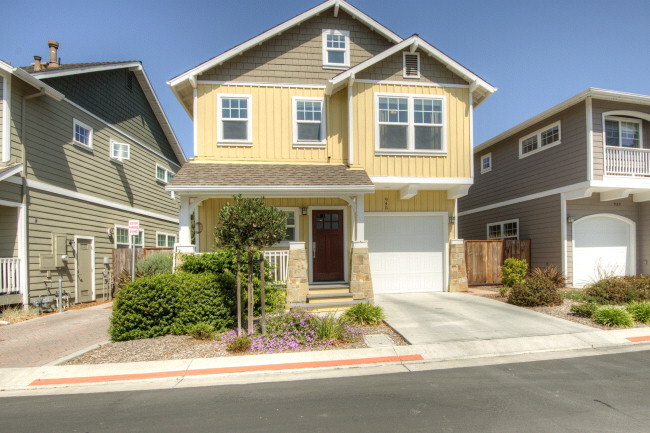 Move-in ready, very desirable 4bd/3bth Midtown Petaluma model home. Pride of ownership by the original owner like you’ve never seen before. Home features an open floor-plan with a vaulted ceiling, ample natural light and a bedroom with full bathroom on the main floor. Perfectly landscaped front and backyard. Wonderful neighborhood just minutes to downtown, near public transportation, shopping, pedestrian path and park. A must see! 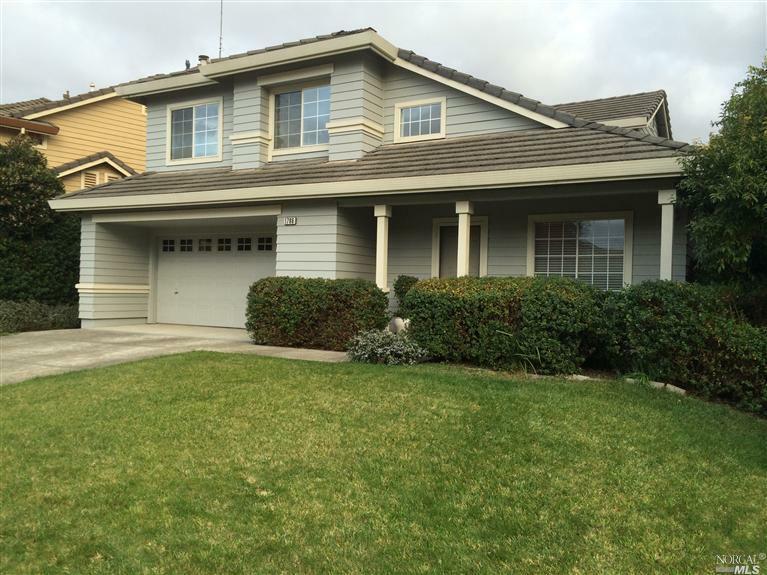 Wonderful chance to own this 3 bedroom, 2.5 bath home in popular M Section of Rohnert Park. Located in a culdesac, this beautiful home offers separate living and family rooms, vaulted ceilings, interior laundry, newer roof, updated kitchen, large attached deck, and tons of extras! Distinctively remodeled residence, tastefully updated from top to bottom. Cooks kitchen features double ovens, granite counters, stainless steel appliances and island. Master boasts a stunning bath with shower and tub. A family room looks out to deck through french doors. Relaxing patio and back yard with hot tub, bar and pond with water feature will draw you outside. A detached three car garage and workshop plus a barn complete this offering. Move-in ready! 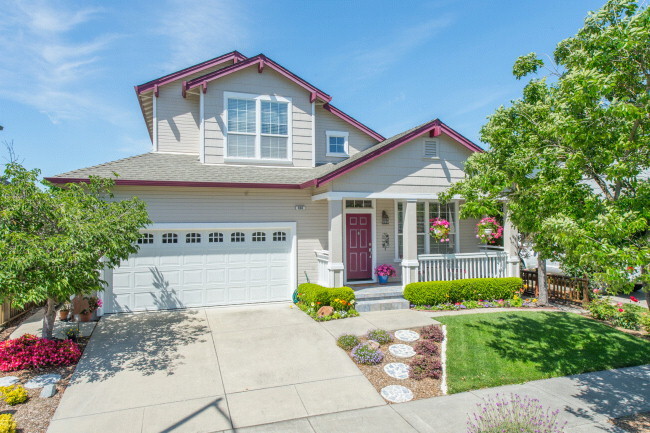 3bd, 2.5bath West side Petaluma craftsman style home, situated on a quiet street in the Midtown area. Home features laminate floors, 9-foot ceilings, recessed lighting, crown molding and dual zone AC. 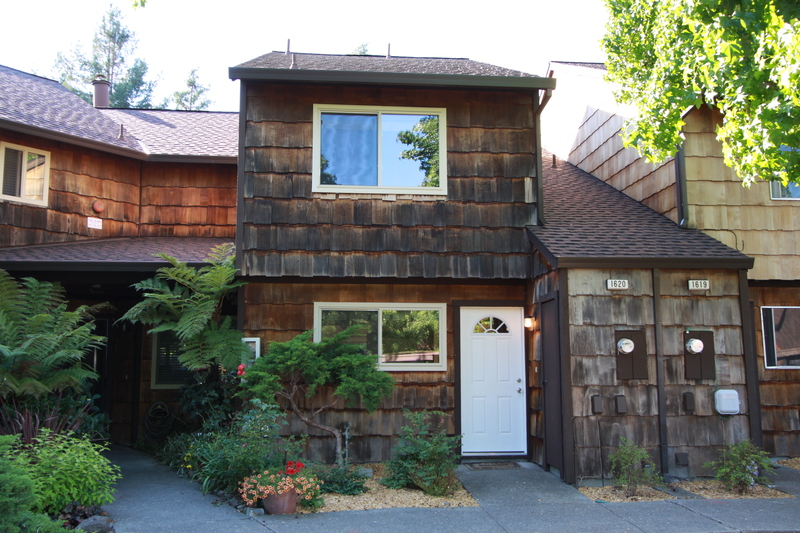 Laundry room comes complete with newer washer/dryer and is conveniently located upstairs near three spacious bedrooms. Master bedroom has an en-suite bathroom and a walk-in closet. Outside, enjoy the private low-maintenance backyard. 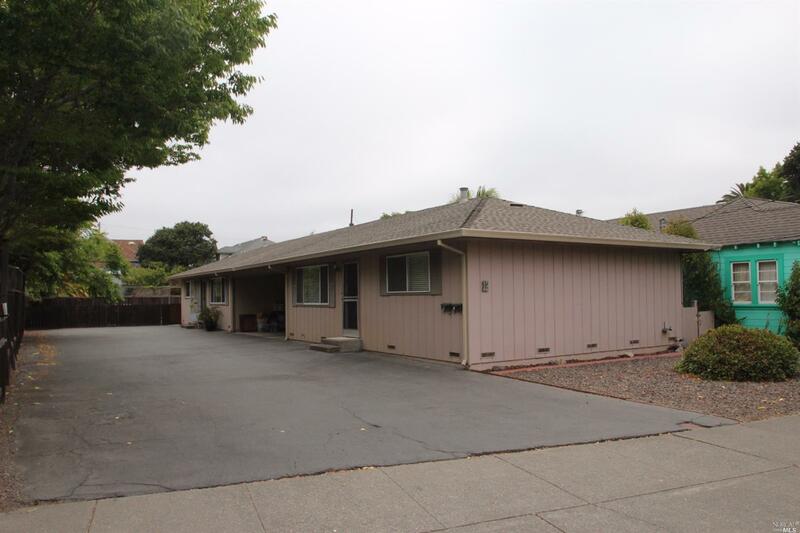 Located close to downtown Petaluma, shopping and freeway access. Original owner 1st time on the market! This Gem just needs a little polishing. Updates have been made thru-out ownership including: Kitchen cabinets and counter tops;Bathroom tub/shower enclosure;Family Room & Sunroom addition;Newer vinyl windows thru out; Newer furnace,Private yard w/add’l storage unit. 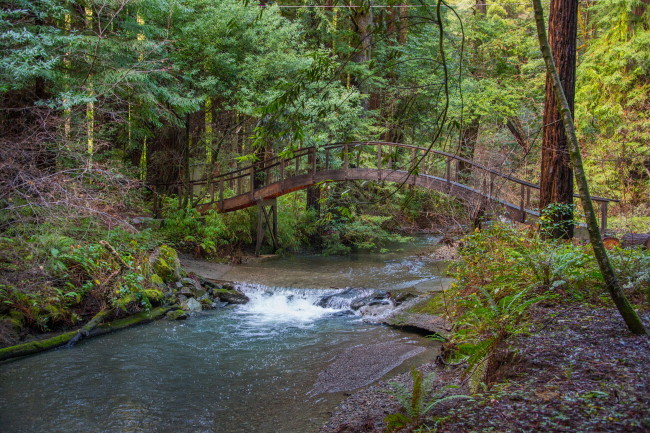 Nestled in the towering redwoods and within walking distance to the Russian River. This contemporary home was built in 1991 and recently renovated. The 3 BR/2 BA home features new exterior paint, bathroom cabinets/quartz counter/shower/mirror, window blinds, & light fixtures. Most outlets, switches & door/closet hardware replaced. Central heat. 3 skylights. Lots of storage. 2 car garage with garage door opener!! Turn-key property. Move-in ready! 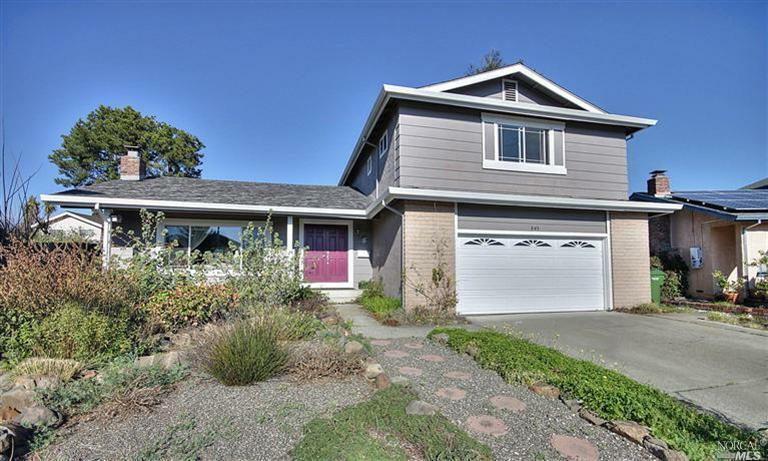 3bd, 2.5bath West side Petaluma craftsman style home, situated on a quiet street in the Midtown area. Home features hardwood floors, 9-foot ceilings, recessed lighting, crown molding and custom paint throughout. Laundry room conveniently located upstairs near three spacious bedrooms. Master bedroom has an en-suite bathroom with custom cabinets, granite counters and a walk-in closet. Outside, enjoy the private low-maintenance backyard. 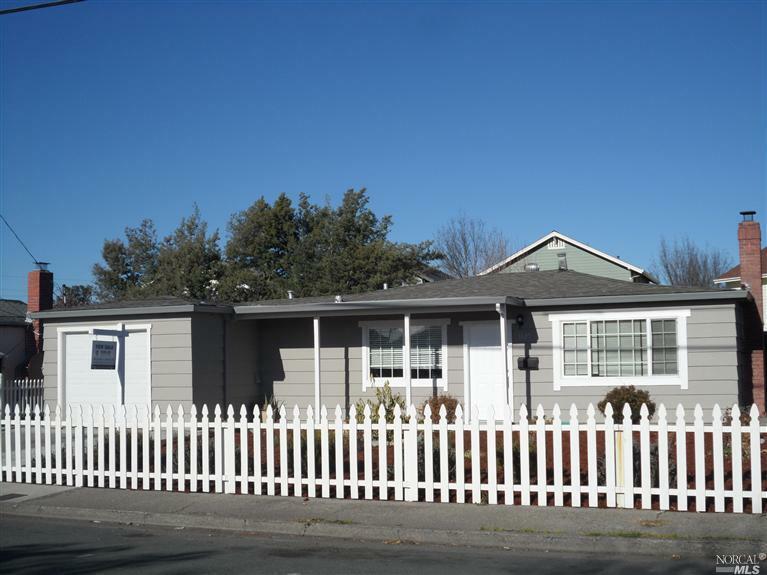 Located close to downtown Petaluma, shopping and freeway access. Wonderful opportunity! This one-story home is waiting to be your own peaceful and private oasis in bustling San Rafael. Enjoy gorgeous views of the surrounding hills and the convenience of all the amenities nearby. Still in its mostly original state, this home is ready for your time, love and care. Located near desirable Dixie Schools. 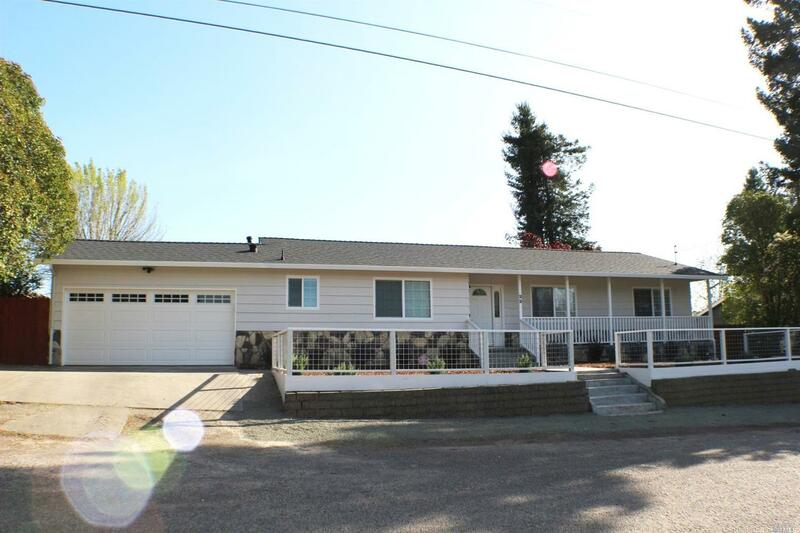 Tastefully remodeled 4 bedrooms 2 baths home located E Section close to all amenities!!! 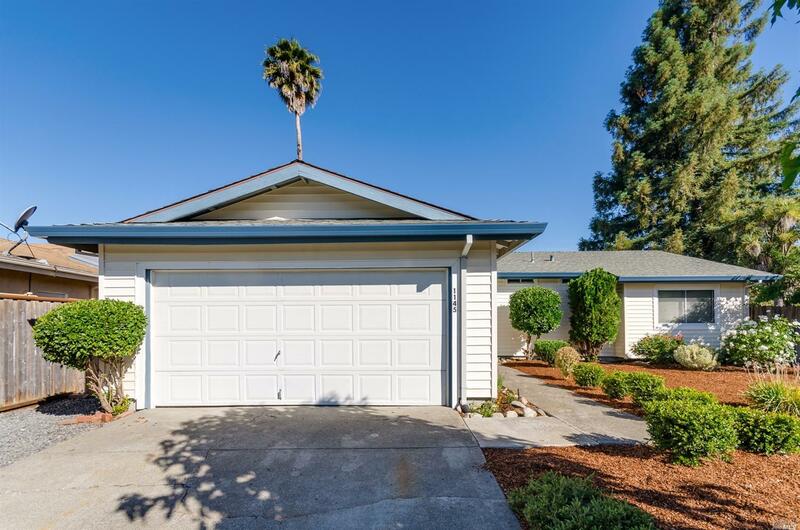 Low maintenance landscaped front and rear yards, open remodeled kitchen with stainless steel appliances, granite counter tops, open living area, dual pane windows, new carpets interior and exterior paint and much more, this one is a must see!!! 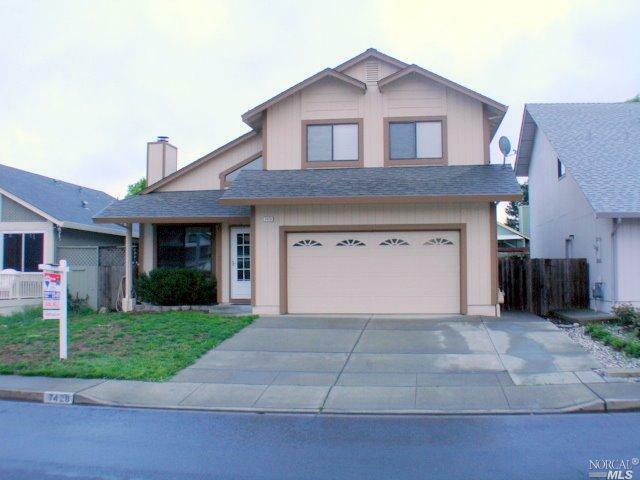 Charming and sweet single story 3 bedroom 1.5 bath East side Petaluma home. Features include: Hardwood floors, full bathroom remodel w/upscale style. Newer roof, electrical panel, sewer lateral. 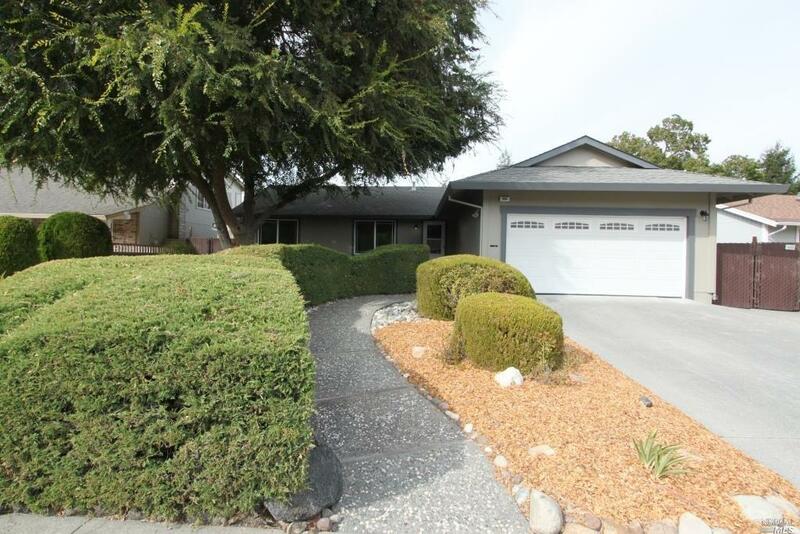 Lovely manicured lot w/patio area, fruit trees, vegetable garden, and gardener shed. Close to all conveniences. 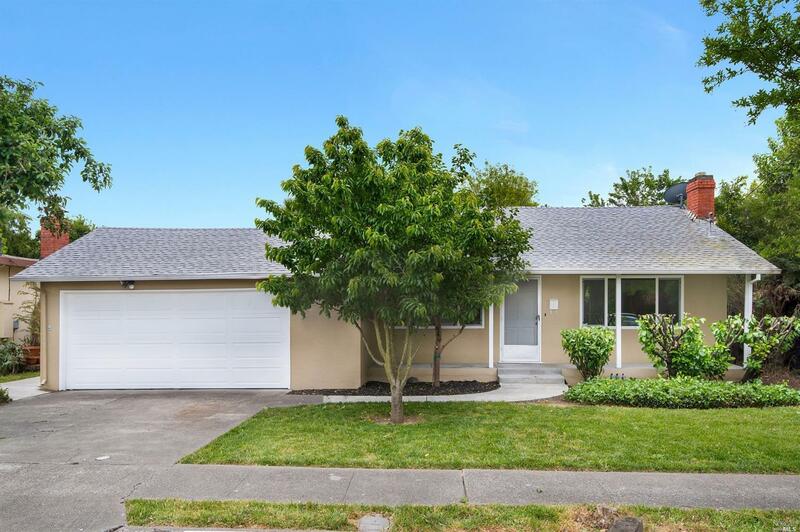 3 bedroom, 2 full bath, move-in ready West side Petaluma charmer, situated on a quiet street in the Midtown area. The home features a recently updated master bathroom with luxury finishes. Extra touches in the home such as chair rail molding and gable style master bedroom ceiling add to the home’s character and beauty. A bonus library/office space sits adjacent to the upstairs landing. Laundry room with washer and dryer included! 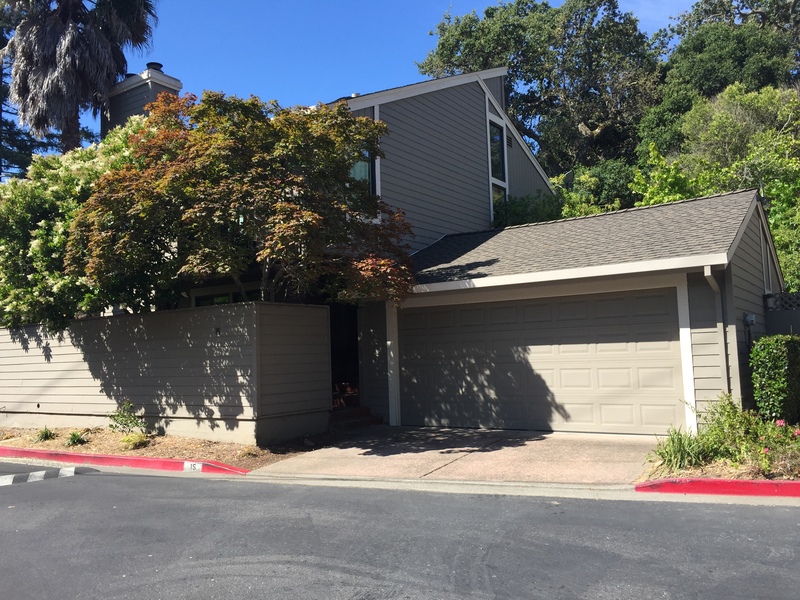 Conveniently located near shopping, swim center, library, public transportation, park and the Lynch Creek Trail to Petaluma’s historic downtown. 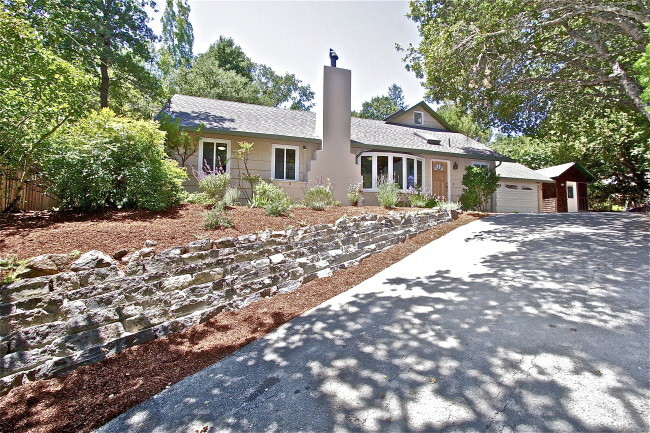 High end remodel in a convenient Cotati location. 3 bedroom 2.5 bath farm house with impeccable upgrades including huge gourmet kitchen with granite counters and stainless steel appliances. Travertine and reclaimed hardwood floors, custom lighting and many more custom features. 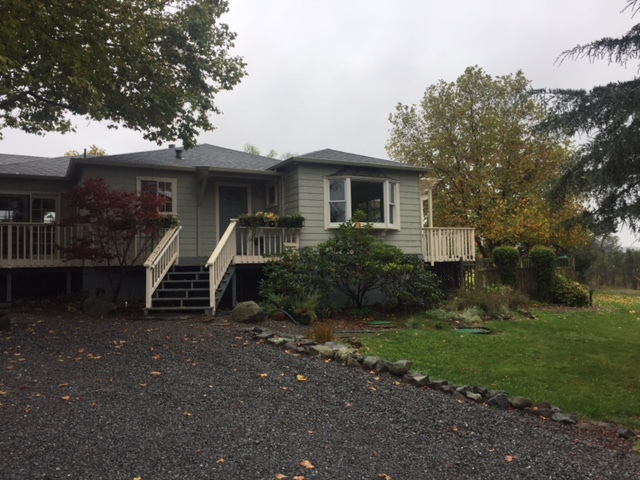 Room for a garden, outdoor recreation and pleasures, oversize garage, plus RV parking all on a private .31 acre lot. 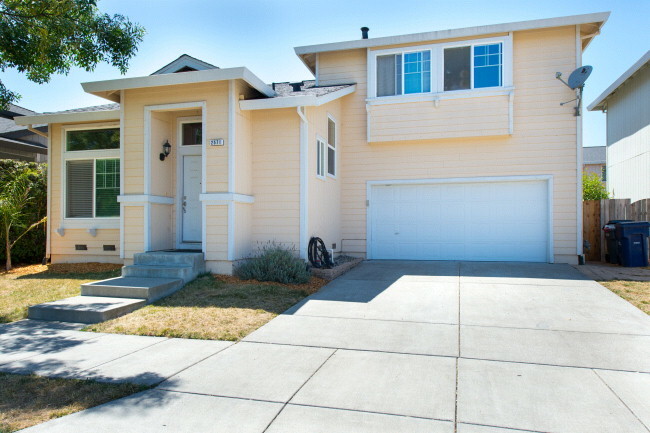 Spacious move-in ready 3bd/2.5bth Midtown Petaluma home. This very desirable model home is immaculate with its new wood engineered floors, carpet, fresh interior paint, vaulted ceilings and much more. Wonderful neighborhood just minutes to downtown, near public transportation, shopping, pedestrian path and park. A must see! 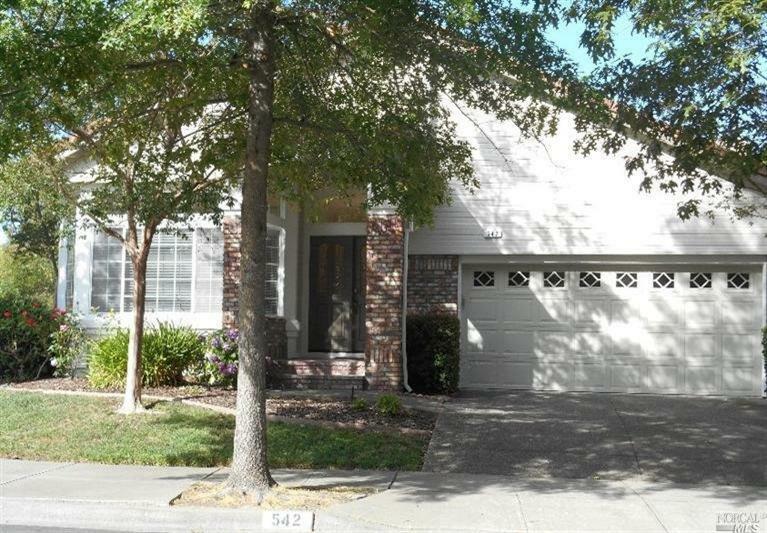 Spacious move-in ready 4bd/3bth Midtown Petaluma home. This highly desirable model home is immaculate, with its hardwood floors, crown molding, vaulted ceilings, remodeled kitchen, custom blinds and much more. Wonderful neighborhood just minutes to downtown, near public transportation, shopping, pedestrian path and park. A must see! 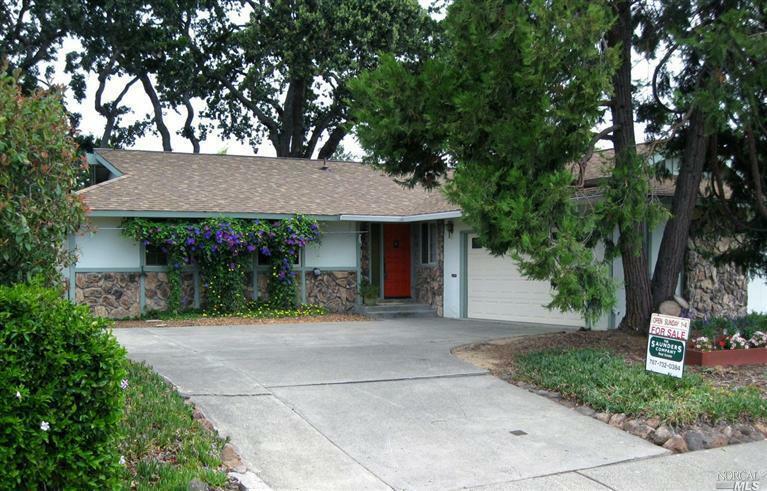 3 bedroom, 2 full bath, 1950’s Midtown Petaluma charmer located on a large, quiet and private lot. The home has an upgraded kitchen, bathrooms, crown molding, light fixtures and a stunning glass/slate tile mantle around the wood-burning fireplace. Conveniently located near shopping, swim center, library, public transportation, park and the river trail to Petaluma’s historic downtown. The newer stainless steel kitchen appliances, washer and dryer are included! Touched by old world charm, this circa 1922 vintage home still holds its original character. Private patio. Situated on quaint, desirable E Street (dead ending on both extremes of the block), this charming home awaits your customized updates. It’s lustrous hardwood floors, formal living and dining room with craftsman detailing, set the stage for the life you have dreamed of in this fashionable West Side setting. Immaculate single level home on quiet corner lot. Quality upgrades – maple flooring in living area, Corian kitchen counter tops and built in speaker system in fam/living rooms and master bedroom. Double door entrance to large master with large windows overlooking the beautiful garden. Lots of natural light in home. This desirable, clean and move-in ready Kawana Springs home has 4 bedrooms, 2 1/2 baths, updated u-shaped kitchen with stainless steel appliances, upstairs laundry, dual pane windows, wood engineered flooring, gas fireplace and an ideal yard for gardening and entertaining on the new concrete patio. Find plenty of elbow room and organization with a 2 car garage, double vanities in both bathrooms, 2 walk-in closets in master bed/bath, built-in shelving and a convenient 1/2 bath downstairs. Experience the spacious, bright feeling inside the house with its vaulted ceilings in the living/dining room and master bedroom. Natural light is plentiful throughout. 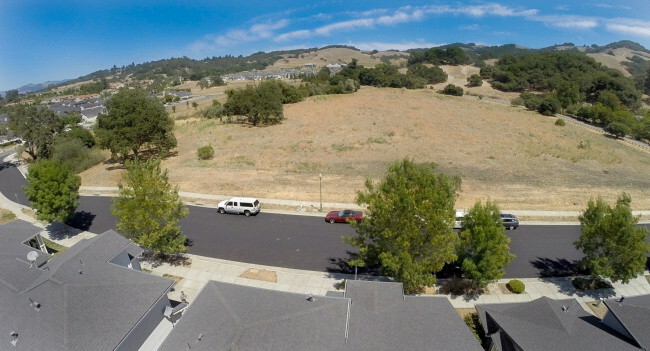 Soak in the picturesque views of open space just across the street and enjoy Taylor Mt. Regional Park just a block away. 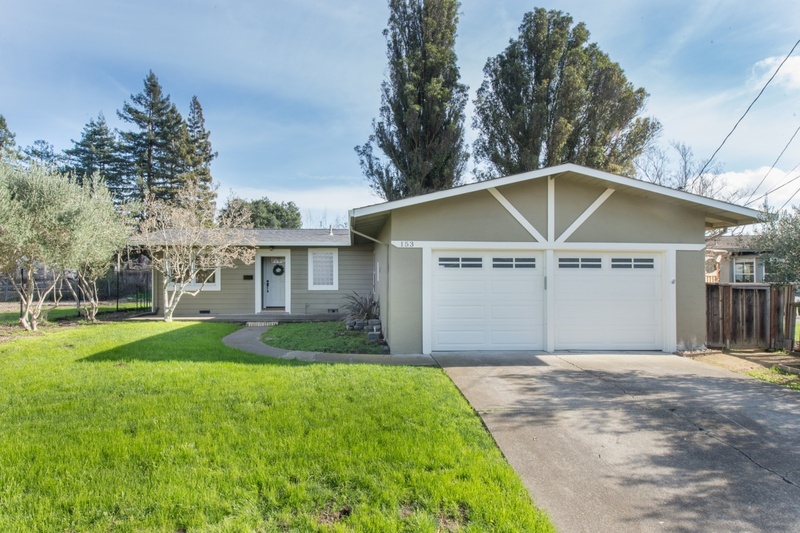 This ideal location is convenient to schools, hiking/bike trails, shopping, parks, easy freeway access, restaurants, wine country and downtown Santa Rosa! A must see that won’t last! 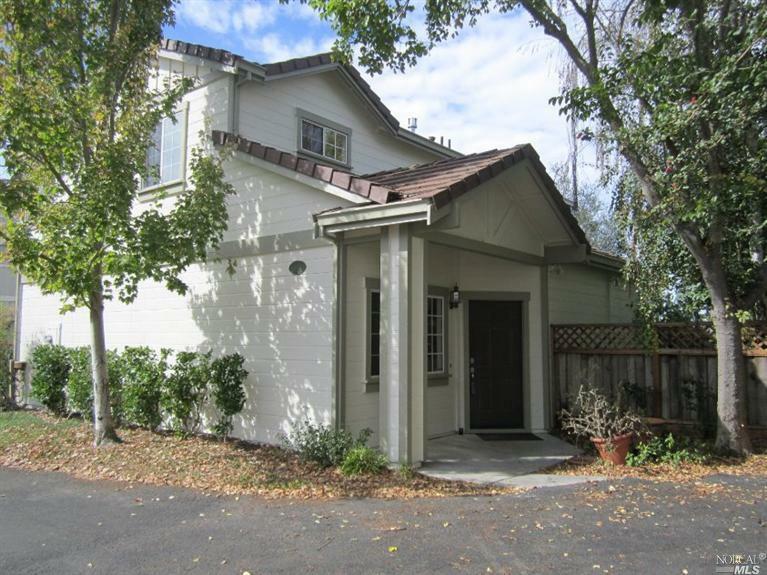 Come home to a relaxing retreat in quaint Woodacre, located in the center of the San Geronimo Valley. 240 Redwood Dr. is conveniently situated near the heart and personality of everything special to Woodacre and its genuine community feel. A must see, this newly painted 3 bedroom, 2 bath home has a serene setting with its large deck for entertaining amid nature, fenced-in raised garden beds and garden shed, brick pathways, separate studio/guest quarters, extensive drainage system and new retaining wall. 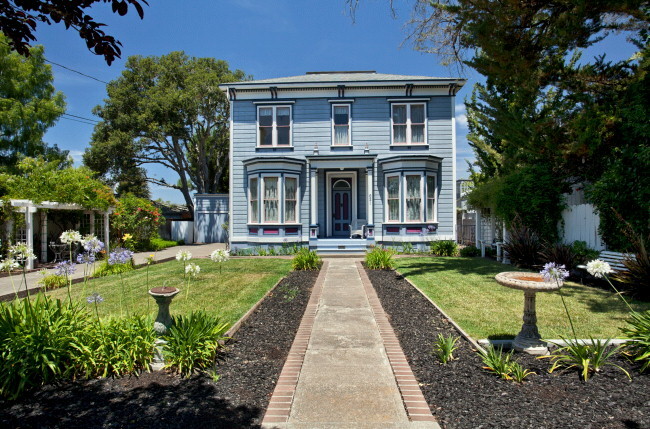 Historic 2,962 square foot Georgian Italianate, elegantly situated in prestigious West Petaluma. Coveted neighborhood, a comfortable stroll to downtown. Built for prominent cheese maker Jefferson Ashbury Thompson in 1885, this Heritage Home features four parlors, four bedrooms, two complete baths and remodeled kitchen. Home is embellished with striking architectural detail and masterful craftsmanship. High ceilings and natural light add to the home’s grand character, welcoming new, loving owners. First time on the market in 35 years, hoping to switch hands from one appreciative family to another. 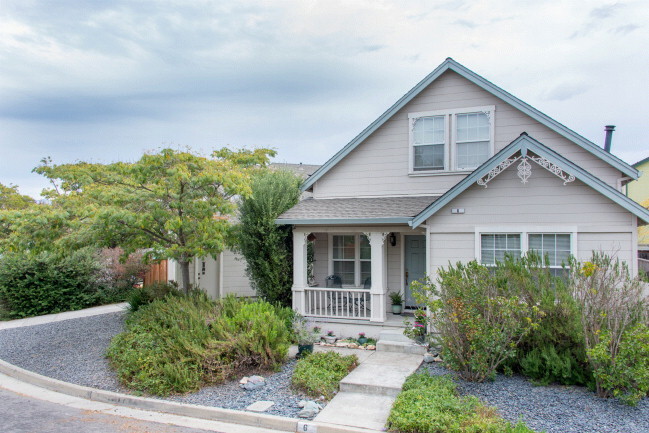 Come home to captivating 621 Sunnyslope Avenue. This 3 bedroom, 2 bathroom hard to come by Celsius 44 unit sold off the market. 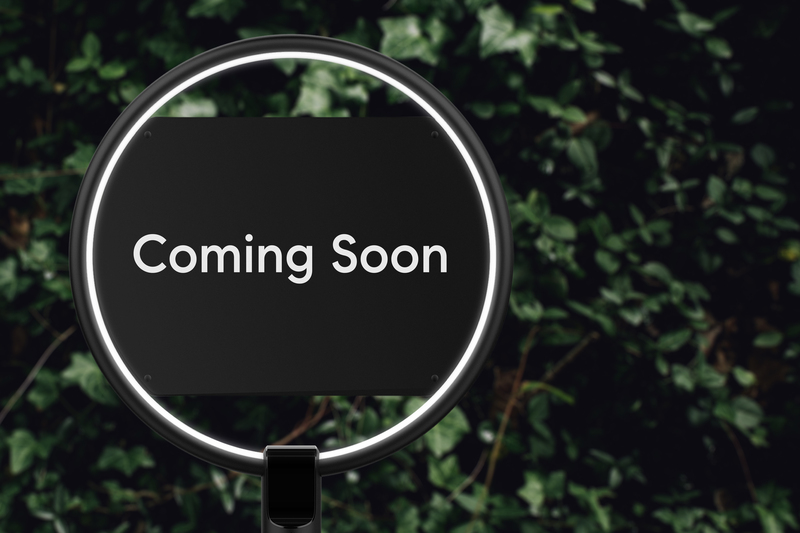 My clients had a specific location they were targeting so I mailed the neighborhood searching for a homeowner wanting to sell. We were contacted by their real estate agent and a deal was made. This particular Celsius 44 unit was in immaculate condition with all luxury upgrades. Congrats to my clients and their new home! Welcome to Petaluma. 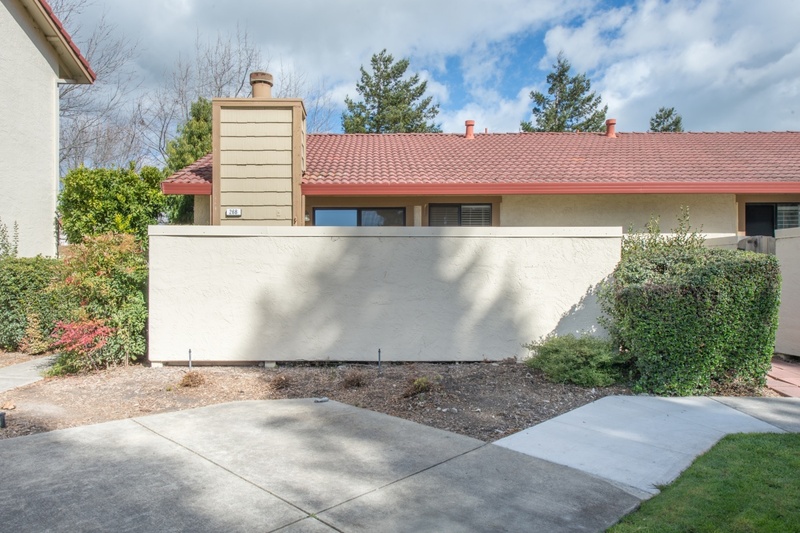 Pristine 3bd townhome with private backyard that backs up to open space. Stretch out, relax and enjoy the occasional wildlife grazing on the hill behind you. 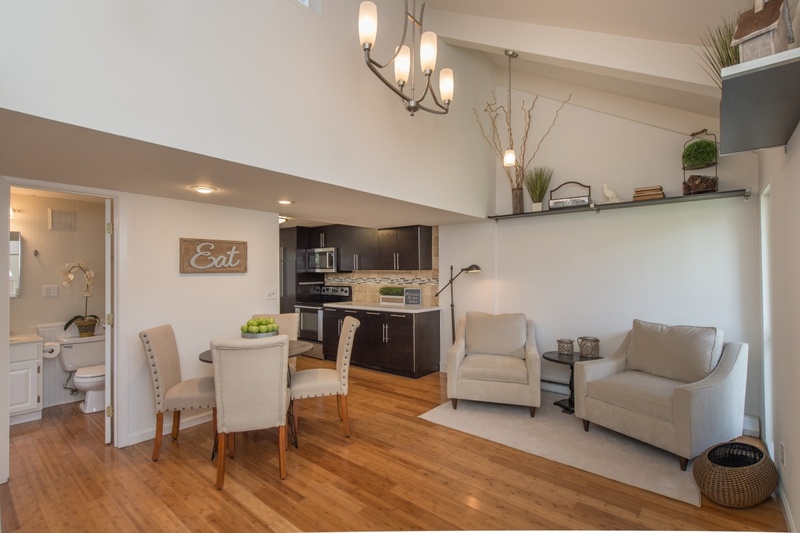 Vaulted ceilings and refreshing natural light lend to the incredibly spacious feel of the upper floor. Upgraded dual pane windows and custom paint throughout. Conveniently located near ample parking, transportation, shopping and parks. Community pool and hot tub. Great low maintenance family home! Spacious two story home, lovingly maintained by the original owners. Situated on a cul-de-sac conveniently located near award winning schools, walking paths and shopping. Fabulous private back yard with mature landscaping. Dual fireplace in living and family rooms. Large master bedroom and bathroom. Welcome Home! Charming PUD ideally located in the back of a wonderful complex. (One of best locations, away from main road!) Features light/bright living, inviting kitchen w/ beautiful floors, spacious bedroom, master bath w/ two sinks, upstairs laundry & much more. Large backyard w/deck is private and perfect for entertaining / gardening. Located near shopping, transportation, & restaurants. Low HOAs! Don’t miss this one! 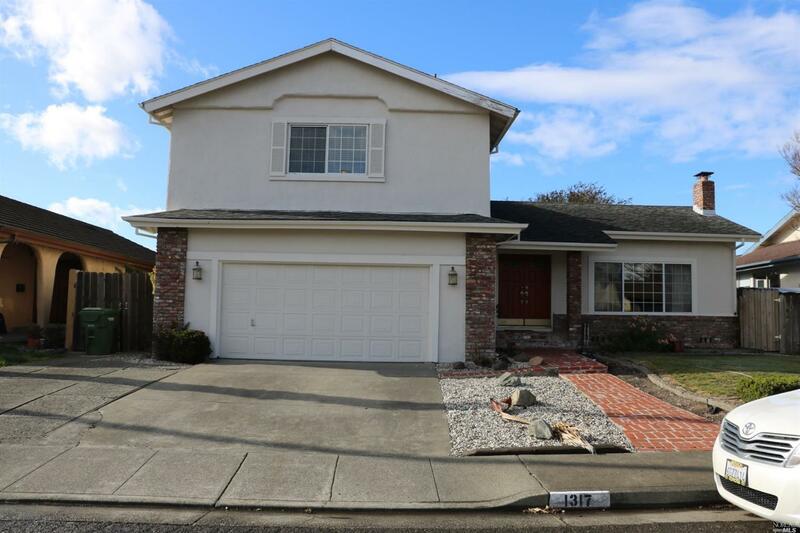 Inside let the sunshine shine through this 3 bed, 2.5 bath home conveniently located in East Petaluma. Bonus room off kitchen with fireplace, designer decor, hardwood floors, Jack and Jill bath, walk in closet all with desirable floor plan, and more. Mature landscaping front and back including additional outside storage. This home exhibits fastidious attention to detail and just about everything else on your wish list. Cute & clean! This is a ready to go property. It has fresh interior paint,updated bath,eat-in kitchen,lovely exposed beamed ceilings, beautiful hardwd floors,lots of natural light and a good size yard that is beautifully cared for. Fence & arbor are vinyl. Surrounding properties are single level for additional privacy. Also, how about a walk to Whole Foods and the surrounding stores? It’s a convenient location. Your buyers will love this place. Immaculate home in award winning school districts and walking distance to JC. New paint inside and out, siding replaced where needed, and some new windows. Family room opens to flagstone patio and garden area. A must see! 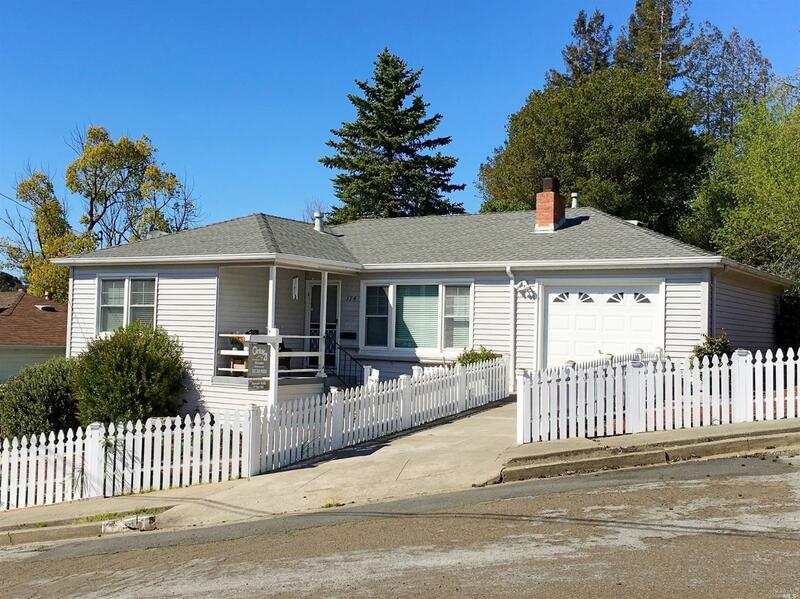 945 Martin Circle – Petaluma – Sold for $450,000. Represented Sellers. Move-in ready! 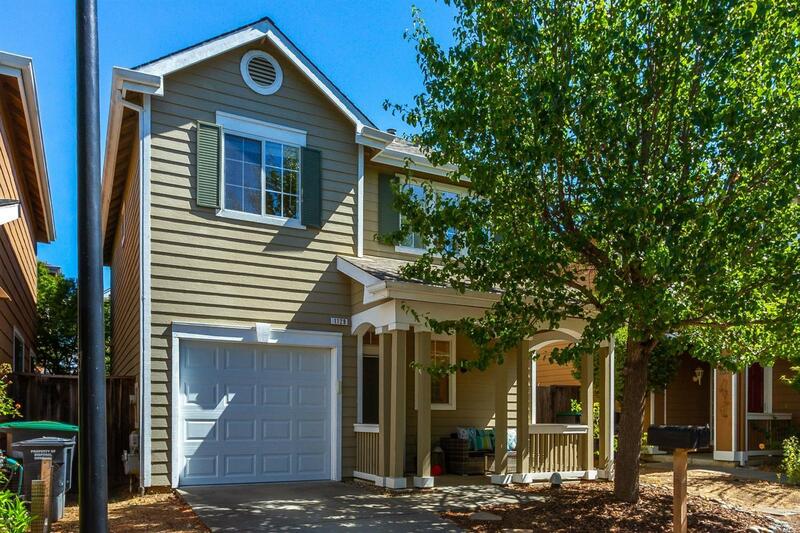 This recently built, craftsman style, 3bd 2.5bath West Petaluma home features granite kitchen countertops, stainless steel appliances and custom cabinets. Laundry room conveniently located upstairs near three spacious bedrooms. Master bedroom has a walk-in closet. House also includes central air and 9-foot ceilings. Outside, enjoy private low maintenance backyard. 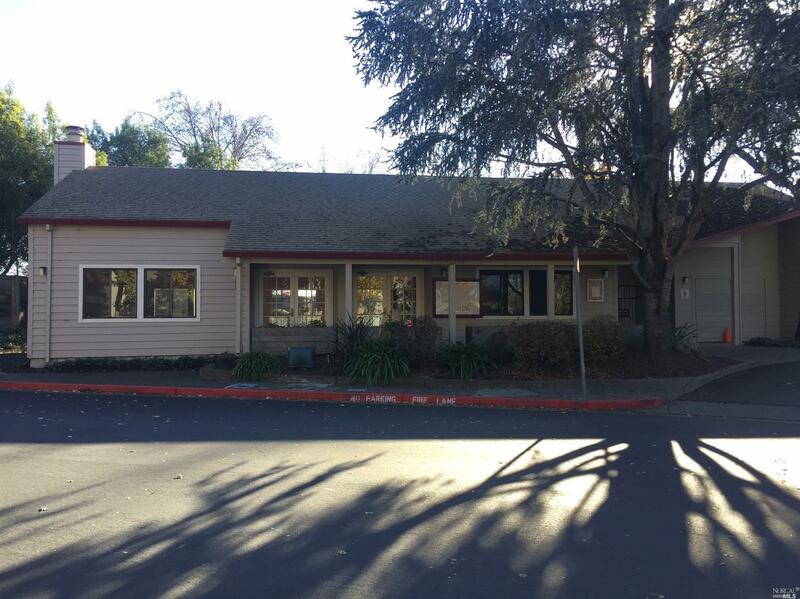 Located close to downtown Petaluma, shopping, and freeway access. 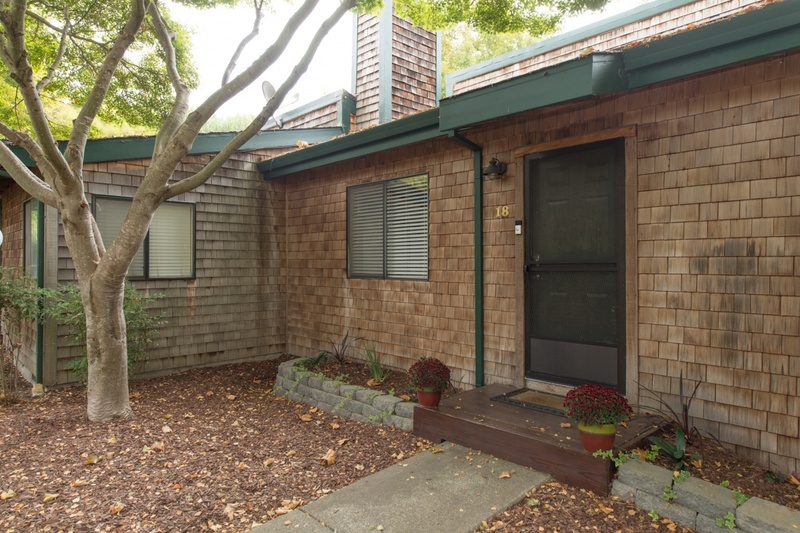 195 Ocean View Ave, Bodega Bay – Sold $618,000. Represented Buyers. Ocean View Charmer! The view will amaze you when you walk in. 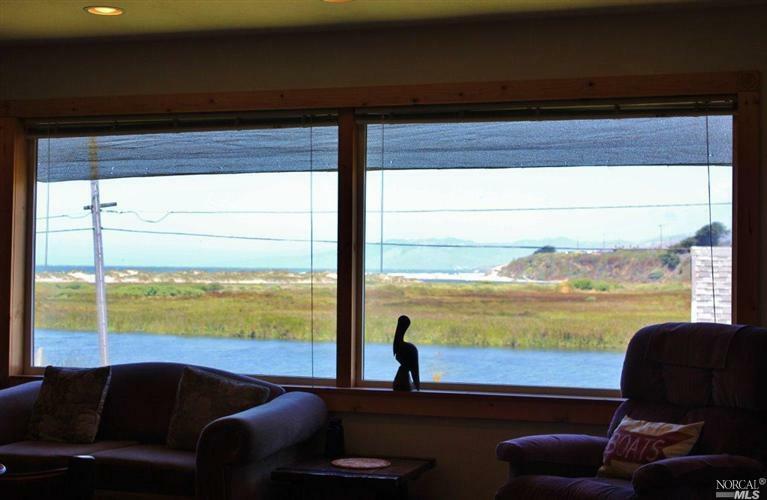 Enjoy views of Salmon Creek & the Ocean from this beach charm. Country kitchen, panoramic view living room, small office adjoins the living room, hard wood floors upstairs,2 bedrooms, a bath,& access to the deck are all on the upper level. Downstairs studio w/kitchenette & bathroom. Tile floors. Access to studio is by way of a spiral staircase thru the laundry room or separate entry. 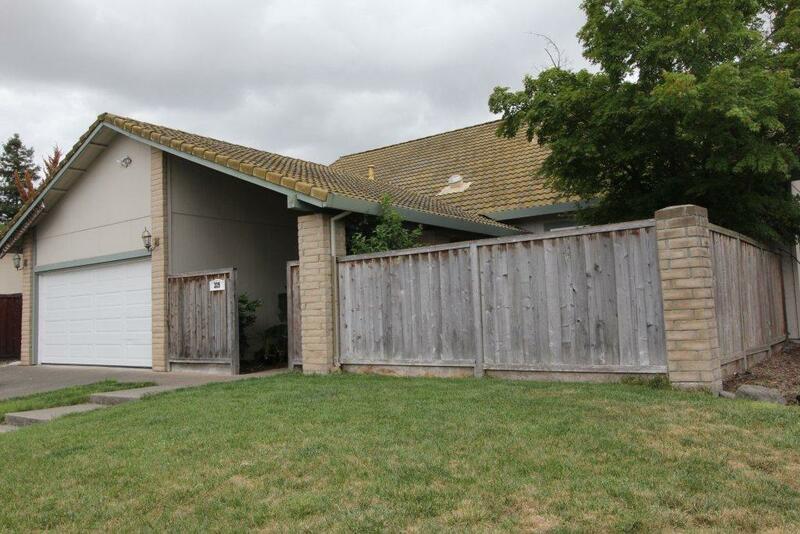 9 Payran Street, Petaluma – Listed at $355,000 – Sold for $389,000 – Represented Sellers. 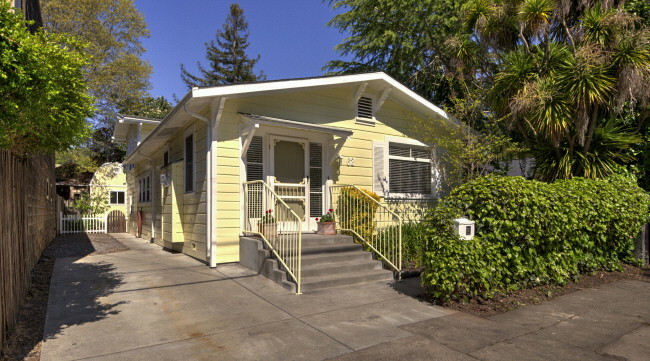 Charming Midtown Petaluma bungalow. 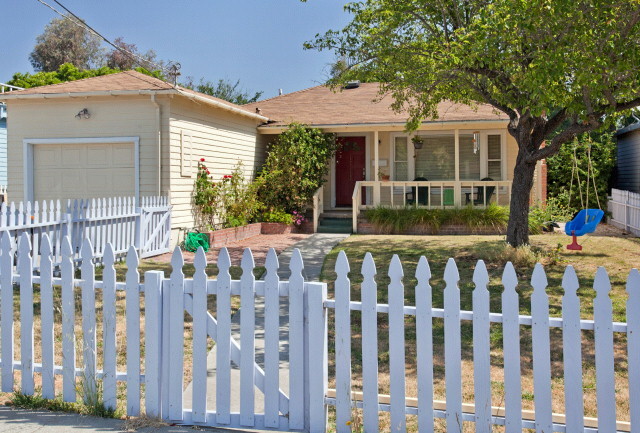 This cozy home set back off the main road, features a quintessential picket fence and a peaceful, private backyard. Lots of storage space in easily accessible attic. Conveniently located near walking path to downtown, Whole Foods market and public transportation. 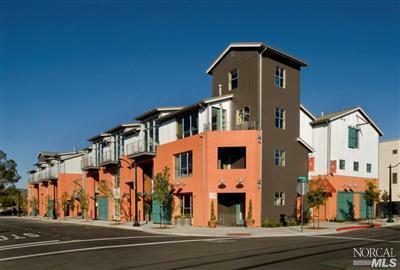 Enjoy leisurely strolls to downtown Petaluma. Open space grass area for picnicking and fun just over the footbridge nearby. Not in the FEMA flood zone. “Steven helped me sell my first home, getting into contract in a mere two weeks with a phenomenal offer and closing without a hitch. He is ethical, knowledgeable, passionate, energetic and enthusiastic – he kept me fully informed every step of the way and made me feel valued. I can’t say enough good things about going through the process with him, he really kept the process of getting the house ready for market from feeling overwhelming. Plus, he was completely flexible and his use of DocuSign made it possible for almost all of the documentation to be done with my busy work and travel schedule, as I could sign disclosures wherever I was from my cellphone. 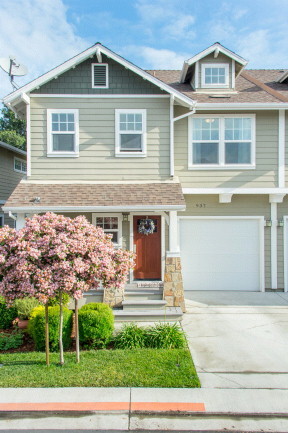 I highly recommend him as an agent!” -Karla W.
62 Dominga Ave, Fairfax – Sold $730,000 (07/03/14) Regular Sale. Represented Sellers. Location, Location, Location! Charming 3bd, 2bath home in the heart of Fairfax. Loved and cared for by the same family since the 1920’s. Enjoy leisurely strolls to downtown Fairfax where you will find the theater, fine dining, live entertainment, and a relaxed way of life. This highly desirable home features off street parking, bonus room, laundry room, central heating, gas fireplace, original hardwood floors,dual pane windows and hobby studio. 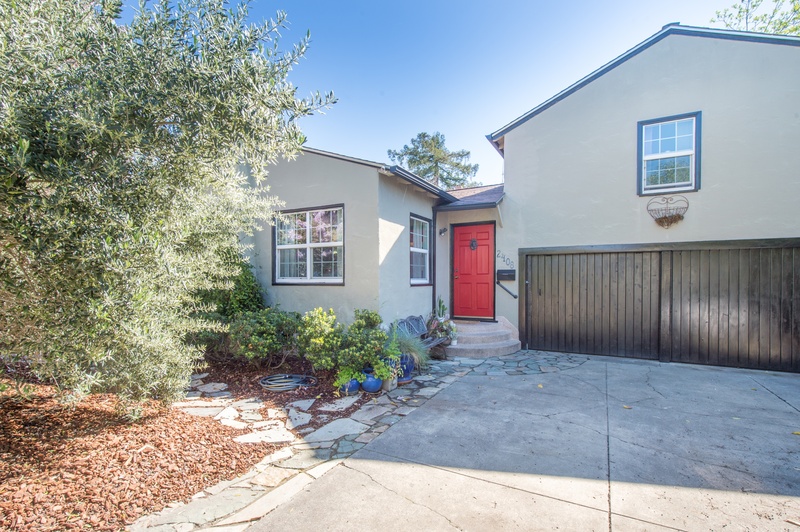 7 Vistawood Way, San Rafael – Listed at $749,000. 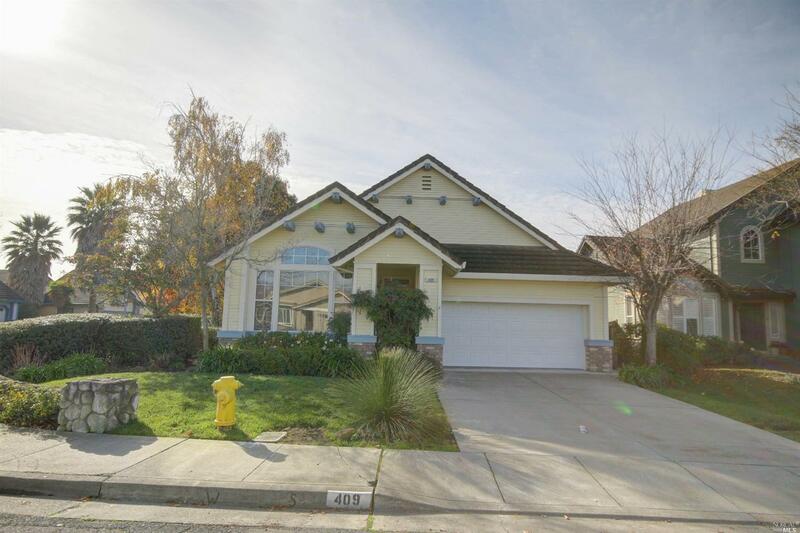 Sale Price $740,000 (Sold 05/16/14) Represented buyer. Regular Sale. Negotiated $14,467 in credit back to towards buyers. 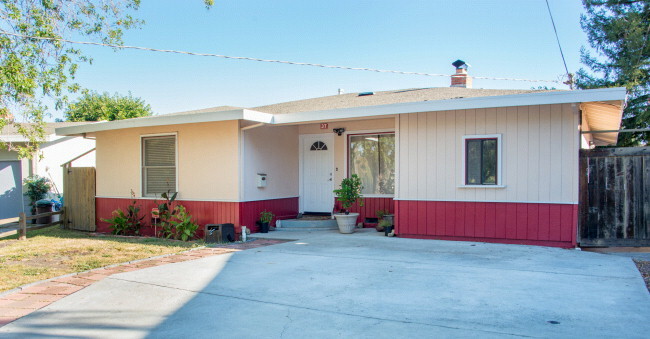 Fabulous 2BD/2BA single story home with on a quiet cul de sac. The kitchen has tile counters, a new cooktop, and a new dishwasher. There is a dining area off the kitchen which leads into the large living room with hardwood floors where there are wonderful views and a fireplace. Both bedrooms have hardwood floors and the master suite has a walk-in closet. New furnace. Two car attached garage with lots of room for storage. 49 Rocca Drive. 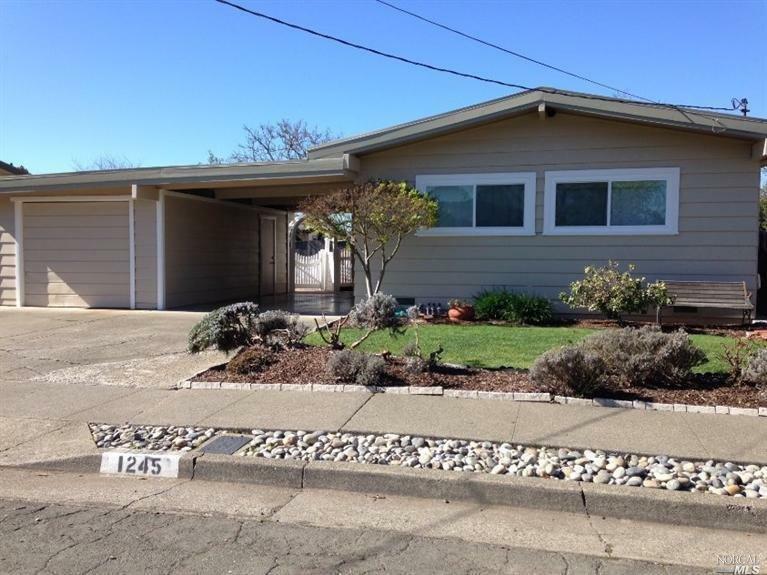 Petaluma – Sale Price $375,000 (Sold 02/21/14) Represented buyer. Regular Sale. Negotiated $5,000 credit back towards buyers closing cost. 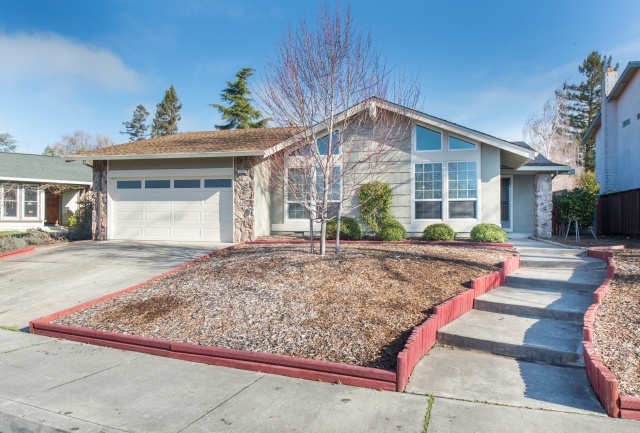 Well maintained West Petaluma home on a Large cul-de-sac lot. Backs to walking trail. Open floor plan. Lots of potential. Hot tub off the master bedroom. 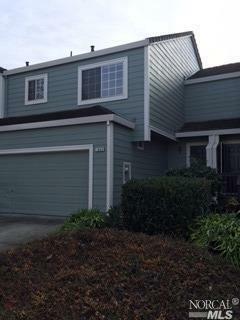 7 Field Ct. Rohnert Park – Sale Price $295,000 (Sold 01/24/14) Represented buyer. Regular Sale. Negotiated $15,000 price reduction and $6,000 credit to buyer. A rare jewel tucked in the back of Mountain Shadows affording privacy with little traffic. This 3 bedroom, 3 full bath home has a downstairs bedroom and two bedrooms upstairs. This property has a two car garage and visitor parking across from the home. The subdivision has a bonus of tennis courts and a private park. Newer heater, water heater, gutters and stove. 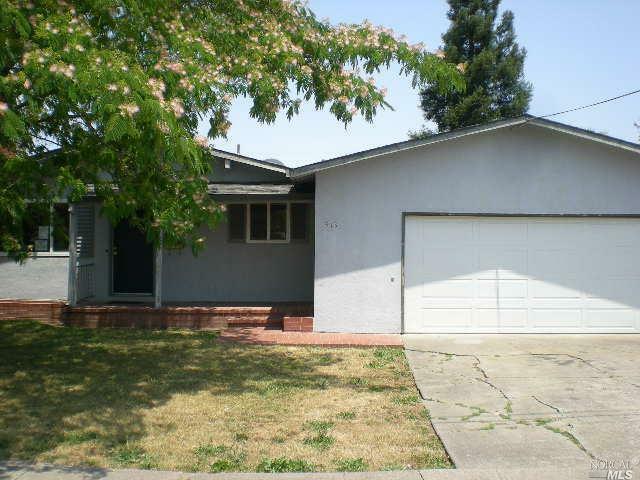 1027 Santa Ana Dr. Santa Rosa – Sale Price $279,000 (Sold 01/24/14) Represented buyer. Regular Sale. Negotiated roof repair and $1,000 credit to buyer. 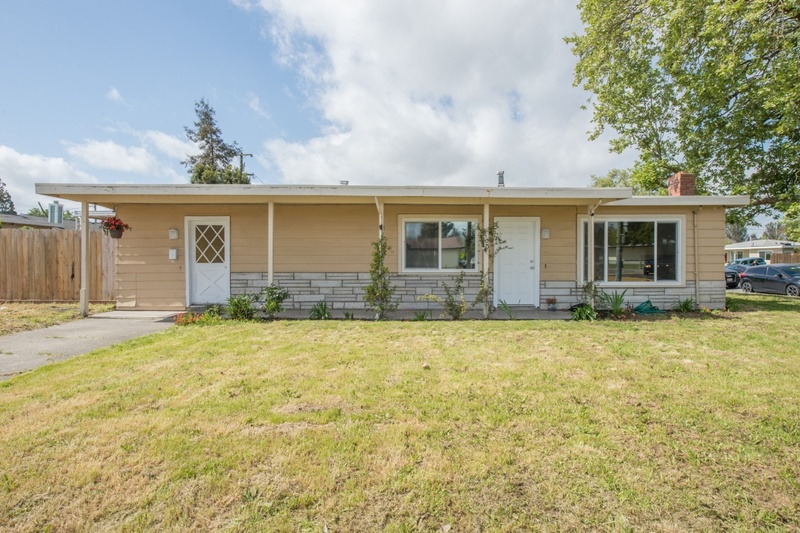 This affordable 3BR home was extensively remodeled just a few years ago including new kitchen & bathroom (then) with oak cabs, black granite counter tops, new appliances, fixtures, and tile floors. The interior was just completely painted and new carpets installed. There is a sloped composition shingle roof with newer gutters. The front yard is fenced & lanscaped; the backyard is extra large with a patio and a covered area behind the garage. 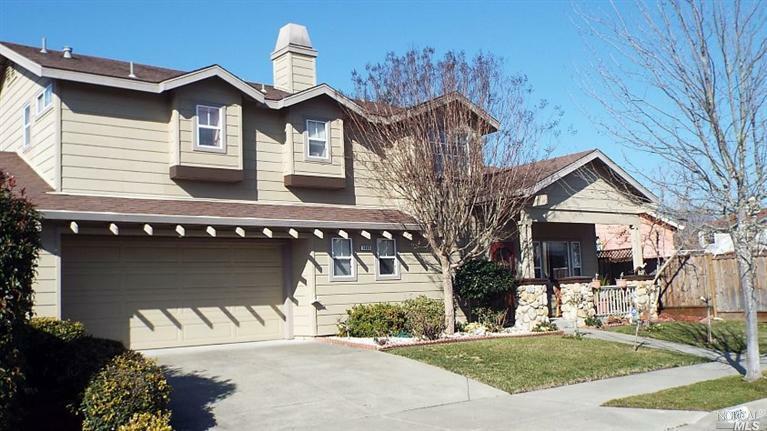 1786 Stone Creek Dr. Petaluma – Sale Price $535,000 (Sold 01/24/14) Represented Buyers. Regular Sale. Nestled in the heart of the awarding winning Waugh School District, this well cared for home features a spacious kitchen, wood floors, a large master suit with a walk-in closet plus 3 other bedrooms and a dramatic staircase. A formal living room and family room allow plenty of space for easy living. The backyard is private, has lots of mature landscaping and a garden. My wife and recently purchased a house in Petaluma and we were so happy to find our home. 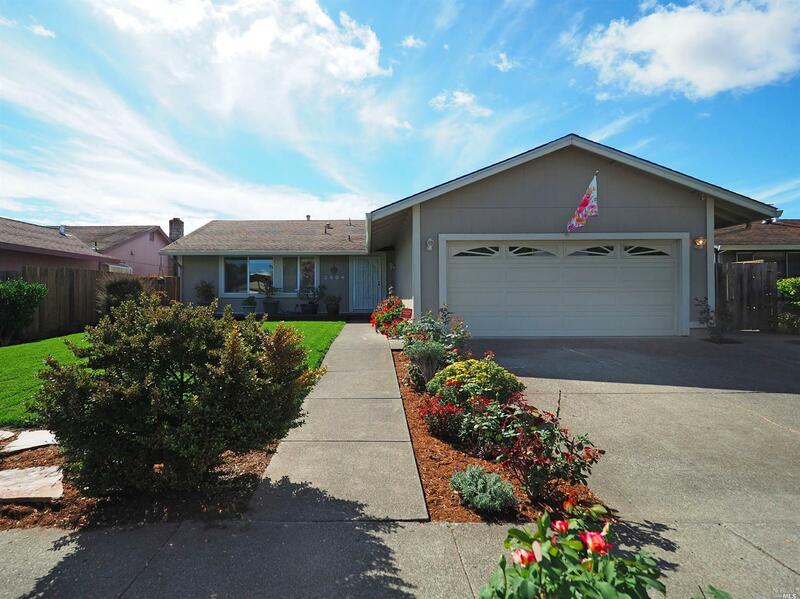 513 Adrienne Dr. Petaluma – $320,000 (Sold 9/24/13) Represented Buyers. REO Sale. Great opportunity. 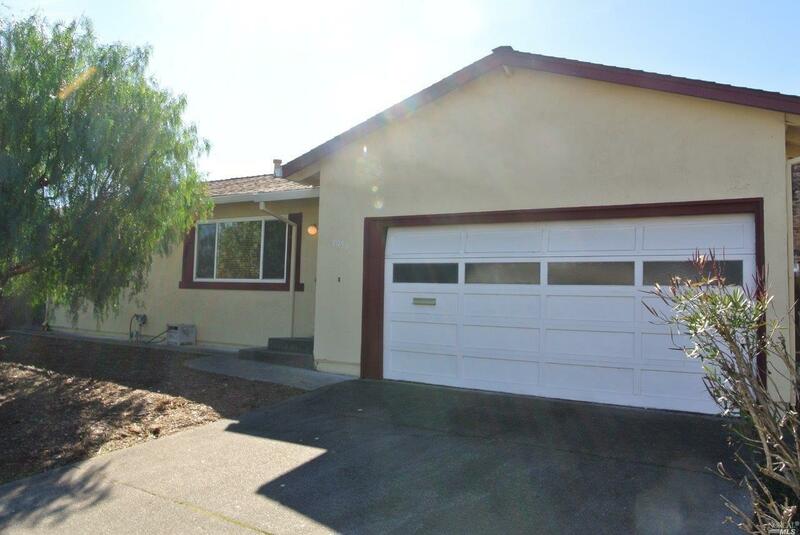 3 bedroom 2 bath home in E. Petaluma, close to schools, shopping and transportation. Nice 3/2 with a formal dining room that could be your 4th bedroom. Mature trees and landscaping. Minutes to school, shopping and public transportation. Many upgrades: dual pane windows, energy efficient heater, and more. 33 Creekwood Sq. 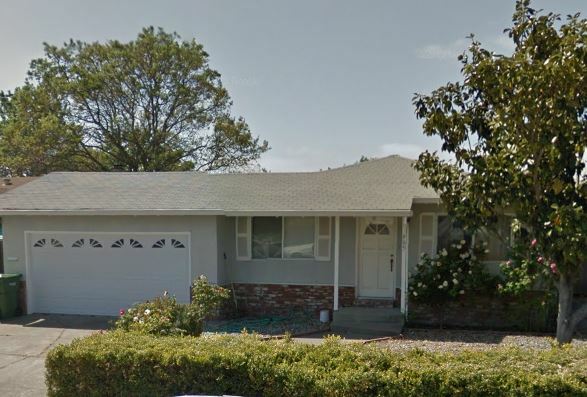 Rohnert Park – $215,000 (Sold 8/23/13) Represented buyers (negotiated $5,900 in credit back towards my clients closing cost). A great opportunity to own or investinanestablishedtownhome community! 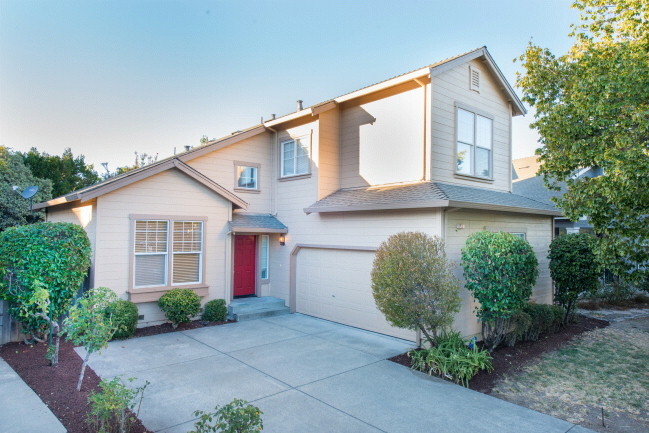 This complex is close to all amenities – transportation, shopping, schools and Sonoma State University. This 2 bedroom 1.5 bathPUD is move-in ready – features a detached one-car garage steps from the front door, two separate, quaint, private patios to relax and a balcony off each bedroom. Complex has beautiful grounds, swimming pool, spa, and tennis courts. 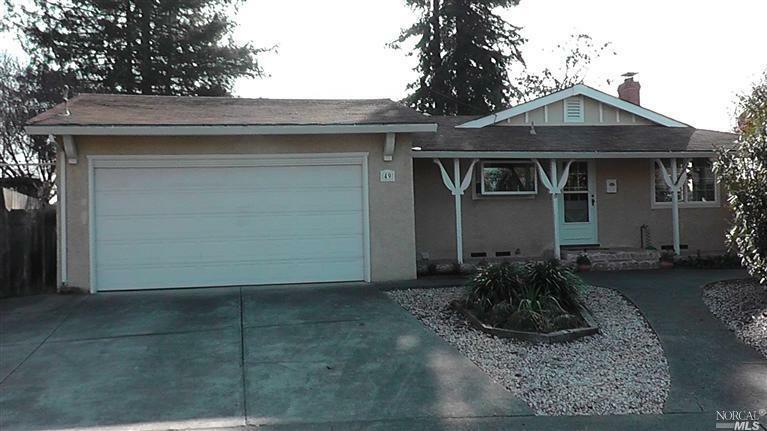 1620 Parkway Dr. Rohnert Park, Ca-Offered at $235,000. 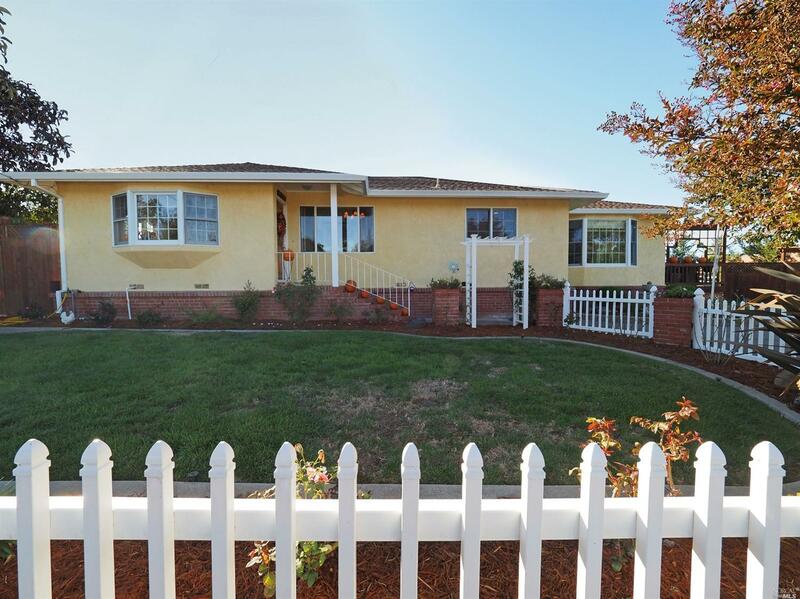 Representing Seller (Sold 10/18/13) Multiple offers, final selling price $240,000. 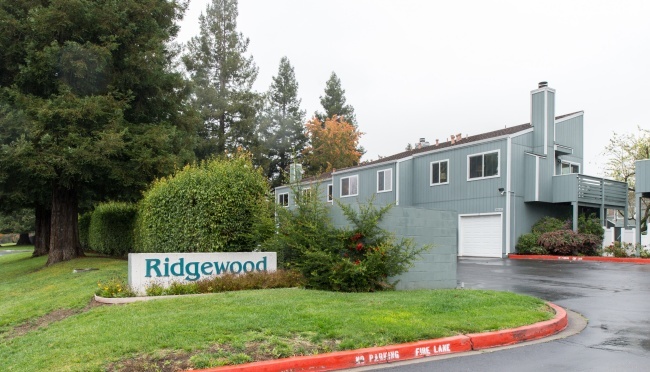 A great opportunity to own or invest in an excellent Redwood Park Estate Condominium. This 2 bedroom 1.5 bath condo is move-in ready – features updated dual pane windows, pergo flooring, fixtures, ceiling popcorn removed and crown molding throughout. 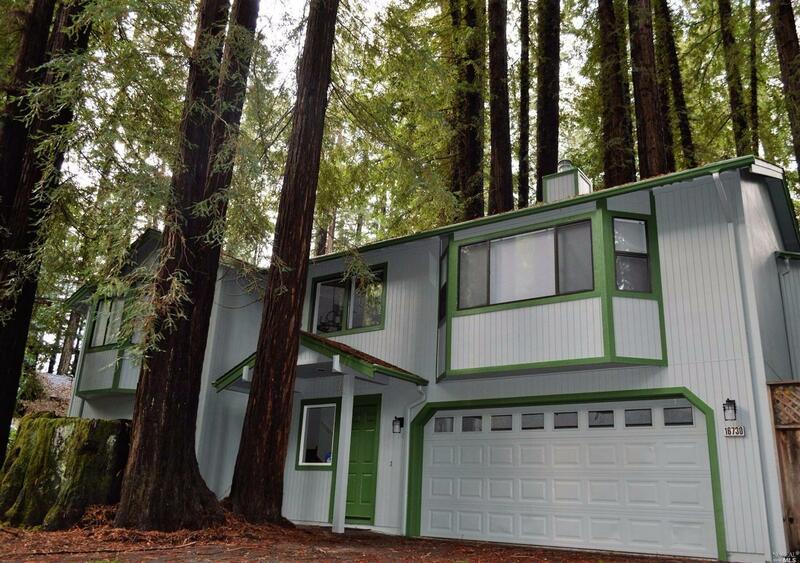 Lots of natural light and beautiful views of the Redwoods. HOA- Water, garbage, insurance, exterior and ground maintenance. Complex has beautiful grounds, pools, jacuzzi, tennis courts and club house. 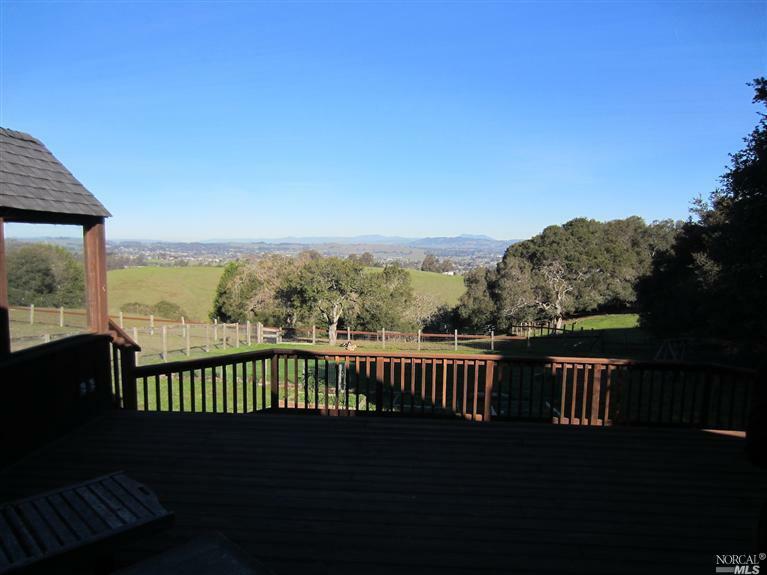 Private Mini-Ranch Retreat in Petaluma, just 5 minutes to downtown! Beautiful views from living room, master bedroom and decks. Main house features a one level 3 bed 2 bath. Add’l studio w/ breezeway, and large garage for storage. Over one level acre with excellent soil conditions, including raised vegetable beds in fenced yard. Bring your family, creativity, horse, garden & country dreams here! 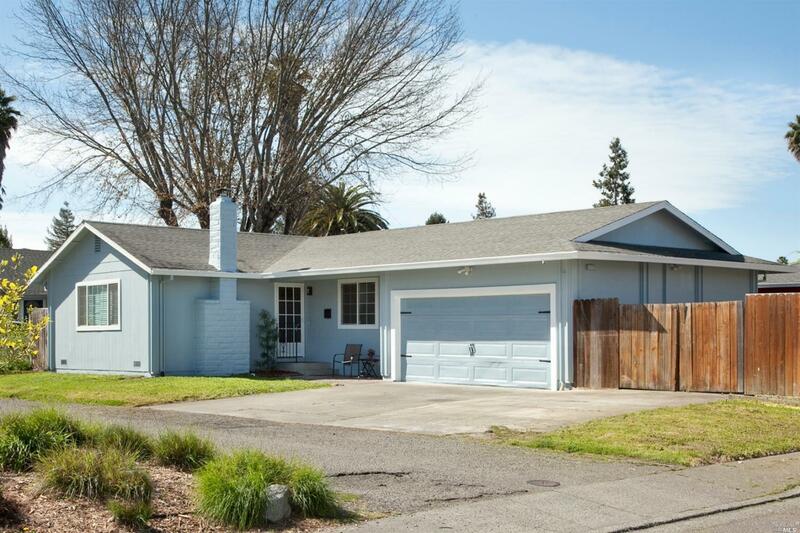 329 Ridgeview Dr. Petaluma, Ca 94952 – Offered at $550,000- Sold for $595,000 (Sold 7/05/13) Represented Selling Side (Sold for 45k over asking price). 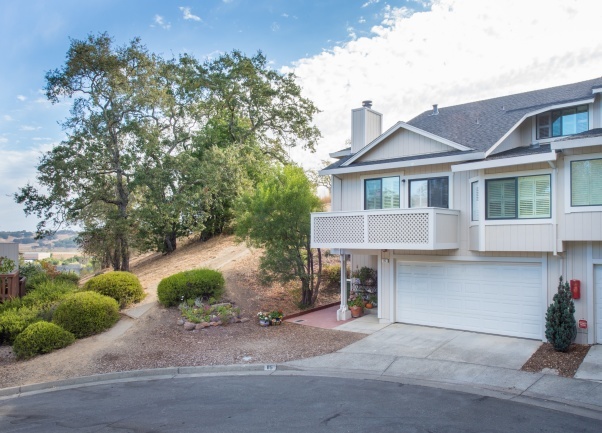 Wonderful Westridge Location! 1 large bedroom and full bathroom downstairs, 4 bedrooms and 2 full baths upstairs. Beautiful bamboo flooring, new carpet, in-ground pool with attached hot tub and large yard perfect for those summer barbeques. Nearby is a community walking trail, community garden and playground. Welcome Home! Great Westside View Home &Location-Newerhomebuilt in 2001 – Lots of Marble, Granite and Tile – Gourmet Kitchen with Lots of Counter Space & Storage – Master Bedroom on main Upper Level with Great Views – Living Room is spacious with Views – 9′ Ceilings & Lots of Custom Woodwork & Trim – Attached Garage – Indoor Laundry – Front Covered Porch & Private Rear Yard – Nice Landscape – Attractive Grounds – Excellent Schools & Nice Decking & More! Bright and cheerful, well cared for home in cul-de-sac. Kitchen has gas range, tile floors and looks out over yard. Kitchen slider opens to backyard with beautiful pond and landscaping. Living room with vaulted ceiling and wood burning fireplace. Separate family room off kitchen. Dining room easily converts to office. Nice large master bedroom.